Collector's notes: The sound quality is so-so: the vocals are quite clear for the most part, but the rest of the music sounds rather dull. 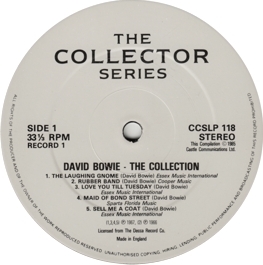 Collector's notes: An audience recording in good sound quality. 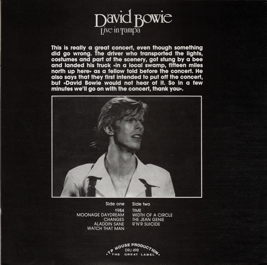 Collector's notes: Another audience recording in good sound quality. 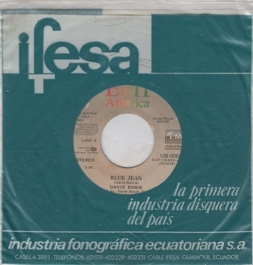 Collector's notes: An unusual coupling of songs from Ecuador. The year of release is from the labels. 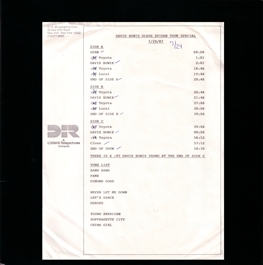 Since I don't know the exact month, I have filed it under early 1985. 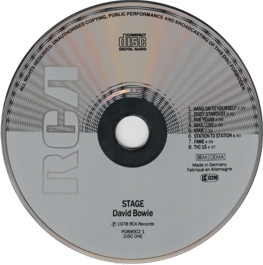 Collector's notes: According to the memory of Rob Davison, the Stage CD set was released in early 1985. 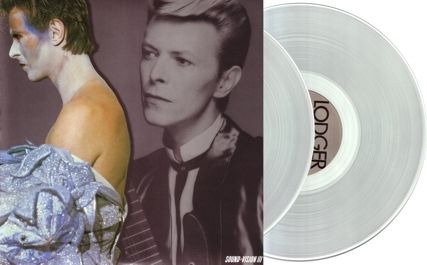 What is odd about this release is that they included the same booklet twice. 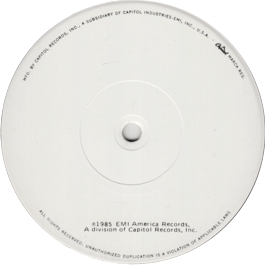 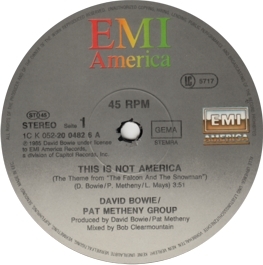 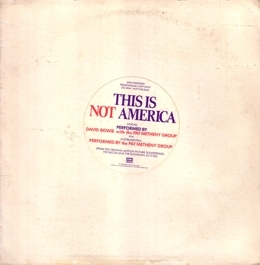 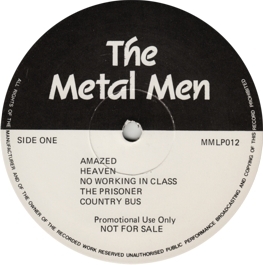 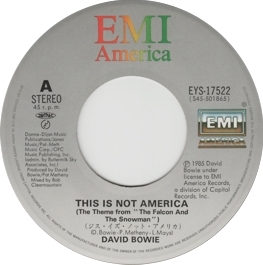 Collector's notes: The US issue was a promo-only release, since the only commercial issue in the USA was a 7". 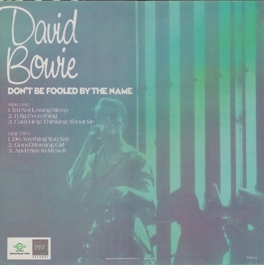 Collector's notes: The cover of this record is a "real" cover and not an insert with a company bag. 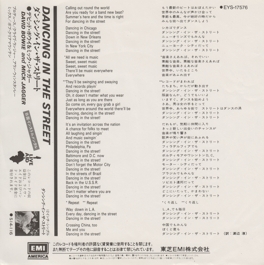 Like the Japanese Let's Dance single, it has an additional insert, though. 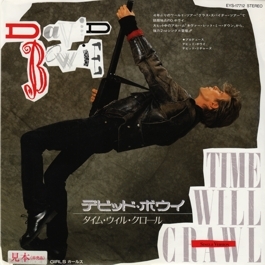 Most Japanese single covers were such "real" covers from that time onwards. 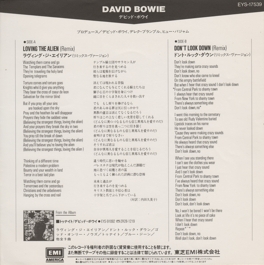 But note that they usually open to the left, not to the right. 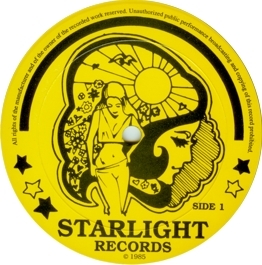 The yellow box on the right-hand side of the cover front does not belong to the design, but is a sticker left there by some previous owner. 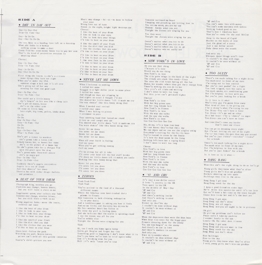 The back of the insert is plain white. 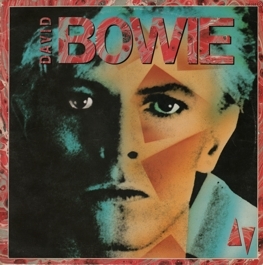 Collector's notes: Another box of re-issues, similar to the Portrait of a Star box from 1982. 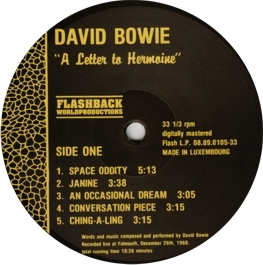 It is difficult to say whether this box should be classified as a German or a French release. 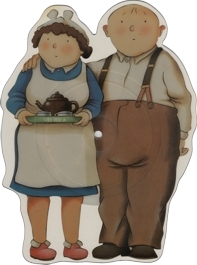 It was probably made for an international market, anyway. 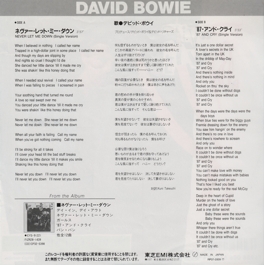 Collector's notes: The inner sleeve is the same as that of the original. 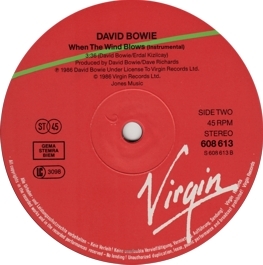 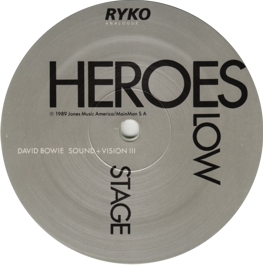 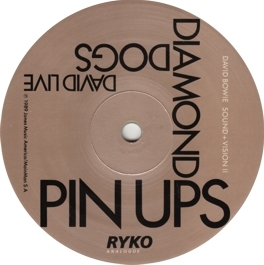 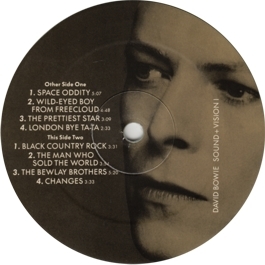 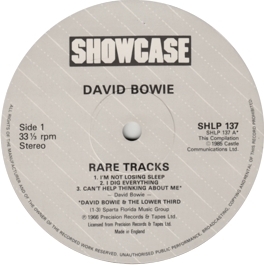 Collector's notes: I have shown the B-side label here, since this is the side on which Bowie's track appears. 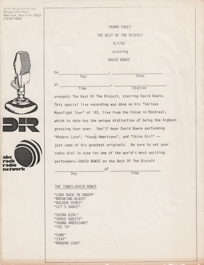 Collector's notes: There are earlier radio station promos with (most of) these recordings, like the 1983 Super Groups show, but all official versions of this heavily bootlegged broadcast are quite rare. 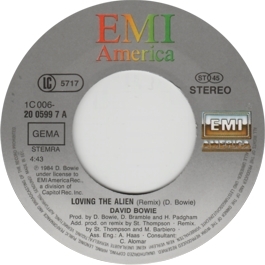 It's no wonder that it has been used on various bootlegs, because the sound quality of this professionally recorded show is perfect: the recording of Modern Love even made it onto the B-side of the corresponding single. 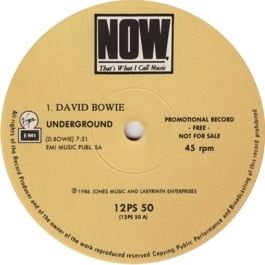 Note that promo has some tracks that were not included in the earlier Super Groups set. 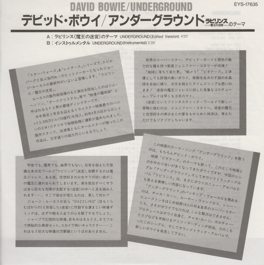 Note that I no longer assume that any of these promos contains recordings from the 12th (see my notes in the entry of the above-mentioned Super Groups album). 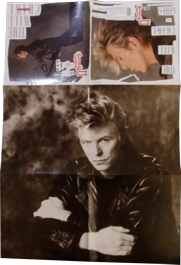 What is interesting about these records is that they still have their original cardboard mailer. 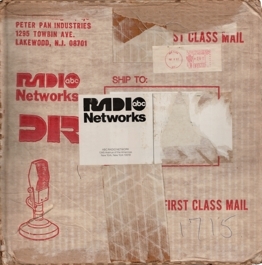 Since the D.I.R. 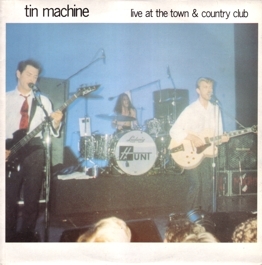 radio shows came without a cover, this is as close as you can get to a "cover" for this album. And most of these boxes were certainly thrown away after unpacking the records. 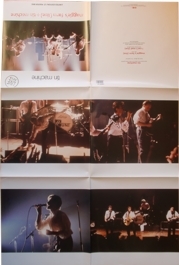 Picture 1 shows the box, picture 2 shows the records in a neutral sleeve with one of the cue sheets, and pictures 3 and 4 show the remaining cue sheets. 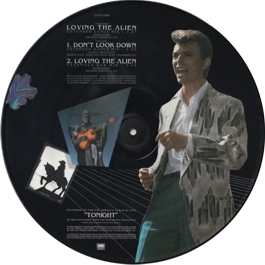 Collector's notes: As you can see on the left-hand side of the record, they obviously used a material for this picture disc that started "browning" in the course of time. 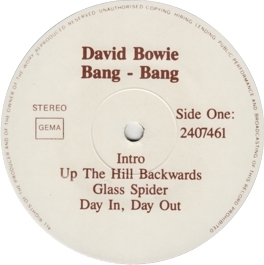 This browning started approximately a decade after the record had been made and mysteriously affects only the transparent margin and the entire front of the disc. 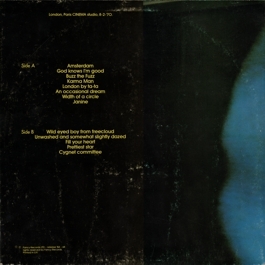 The back seems to be affected only as far as the margin is concerned. 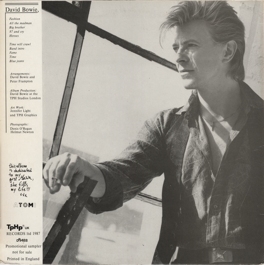 By now the copy shown in the picture has slight browning all over the margin, but the front still looks quite good. 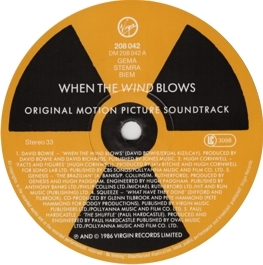 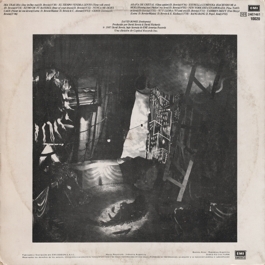 The only way to stop the effect is to put the record into an intransparent cover (like a neutral cardboard cover), since the deterioration seems to be caused by exposure to light. 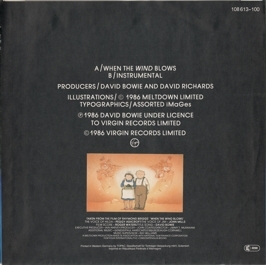 Most copies sold on the web nowadays are offered with a picture that shows only the back of the record - for good reason... 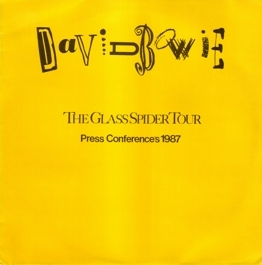 So put your copy in a lightproof cover! 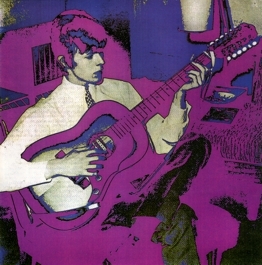 Note, though, that even this cannot really prevent the deterioration of the colours, but only slow it down. The deterioration process can also be seen in the pictures shown here: the scan of the front was made in c. 2008 and that of the back in 2015. 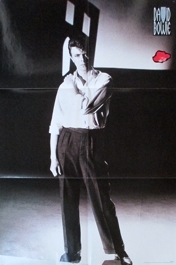 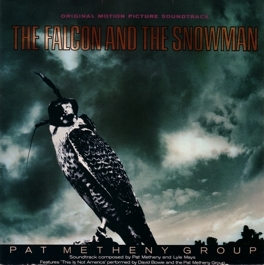 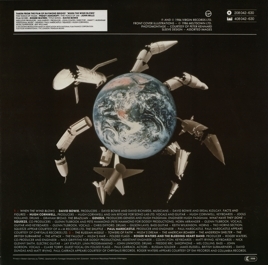 Collector's notes: The same poster came with the US issue. 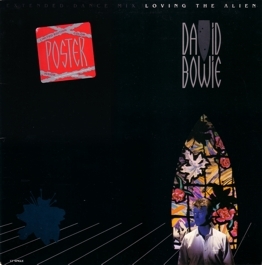 The only difference is that the UK poster has the UK catalogue number in the bottom right corner. 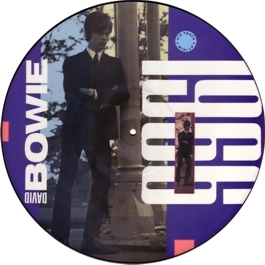 Collector's notes: The 12" version of the picture disc doesn't seem to be affected by the "browning" effect described in the entry of the 7" version. 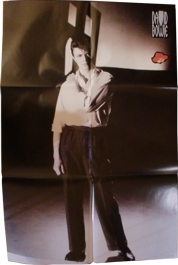 Collector's notes: Same poster as the one that came with the UK release, except for the US catalogue number and some copyright text in the bottom right corner. 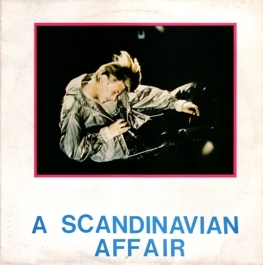 Collector's notes: This record (which is sometimes considered to be a Norwegian release) was widely available in regular record shops, but is generally assumed to be a pirate issue. 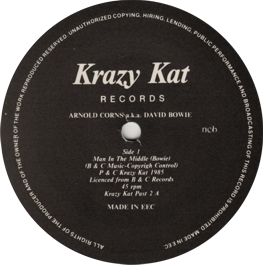 It was the first release of the Arnold Corns version of Looking for a Friend. 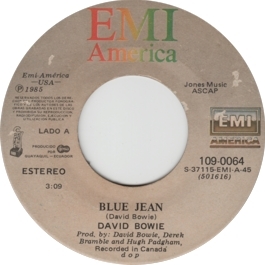 Strangely, they didn't include Moonage Daydream. 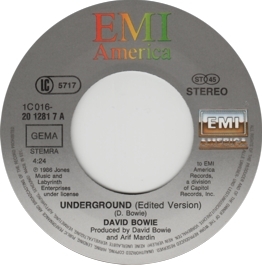 Collector's notes: There are many of these rather unsusual US promo copies with either black or neutral white or handwritten labels. 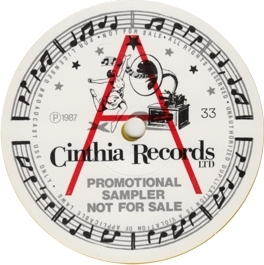 Collector's notes: As in the case of the 7" single, there are also numerous white label 12" promos. 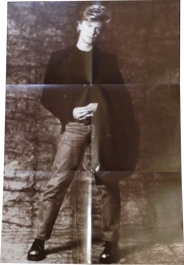 They often came with a photocopied insert, like this one. 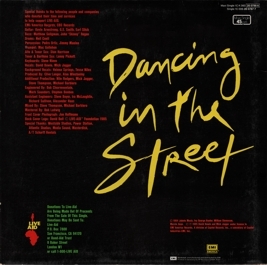 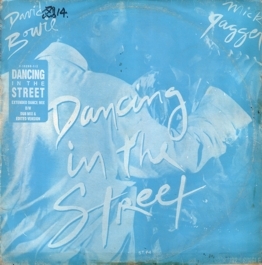 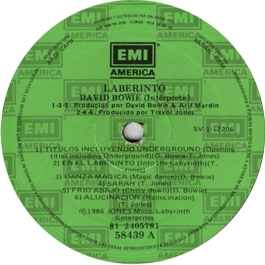 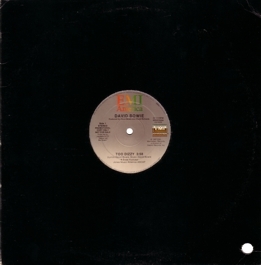 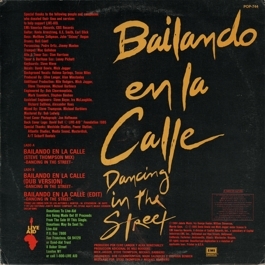 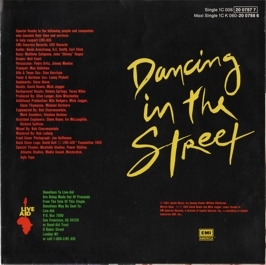 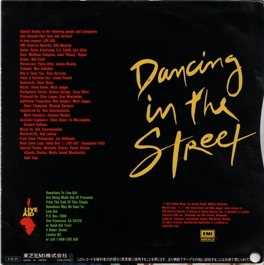 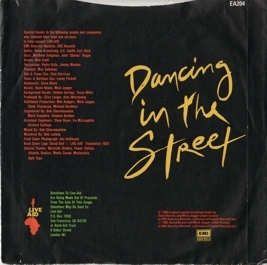 Collector's notes: The Mexican issue has a major cover variation with the song title being replaced by its Spanish translation "Bailando en la Calle". 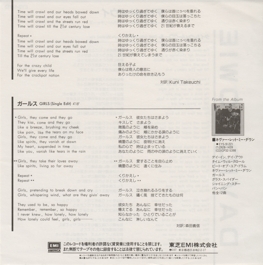 The English title is printed much smaller. 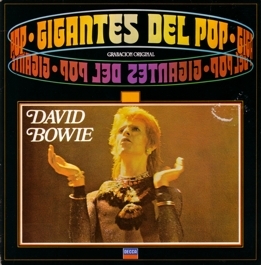 On some other South American issues this is reversed (with the original title in large print and a smaller Spanish title). 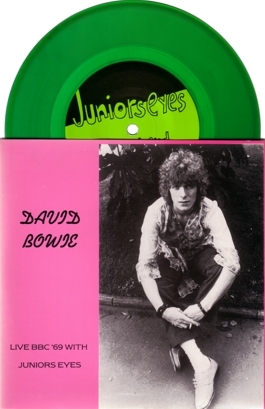 Collector's notes: There are also copies with a green cover. 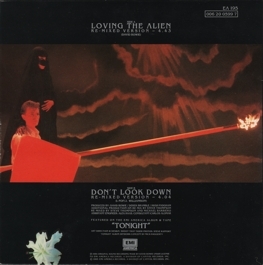 LP. 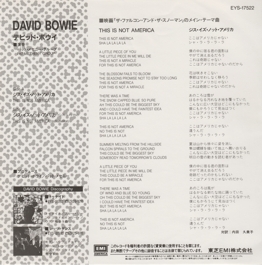 Collector's notes: As often, the Japanse issue of the 7" has one of the few major cover variations. 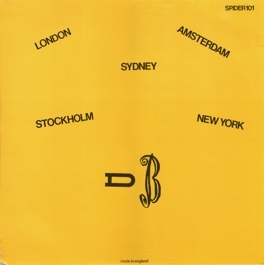 Collector's notes: If there was anything remarkable about this album, then it was that it combined Deram and Pye material for the first time. 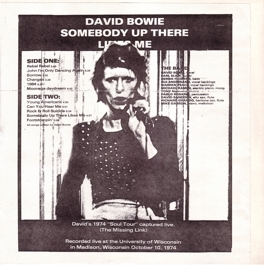 Collector's notes: Although the sound quality of this bootleg is at best "quite good", it is a fascinating document. 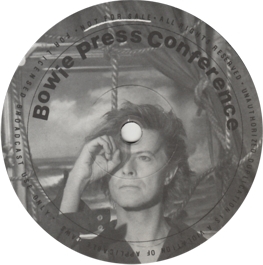 This BBC session was recorded in front of a live audience, and is the oldest surviving Bowie live show of such length that I have ever heard. 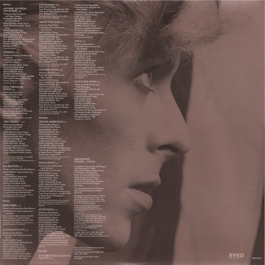 Only two songs are not included here: Waiting for the Man and Memory of a Free Festival (which has found its way onto Bowie at the Beep, though). 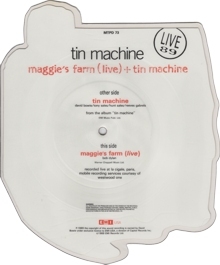 Although several other songs from this session can also be found on the official set, this bootleg is still indispensable more than 25 years after its release! 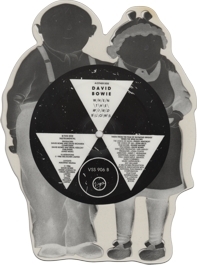 Collector's notes: Parts of a show from the elusive Phillydogs tour. 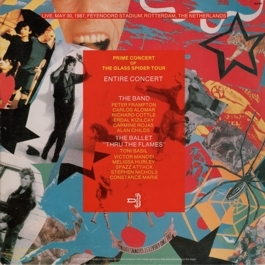 An interesting concert, but the sound is rather poor. 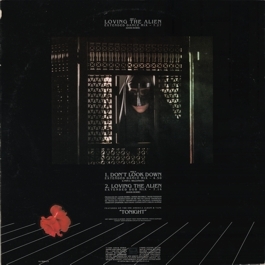 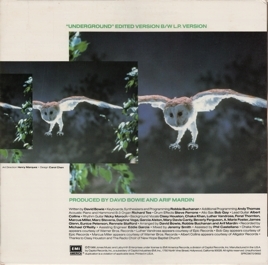 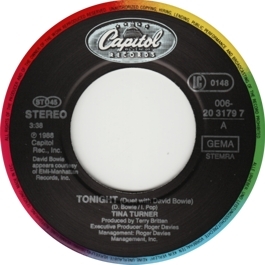 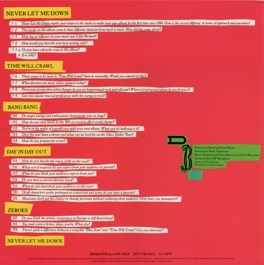 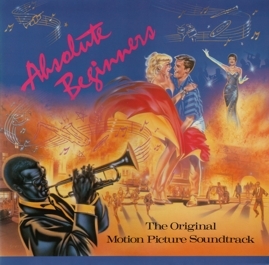 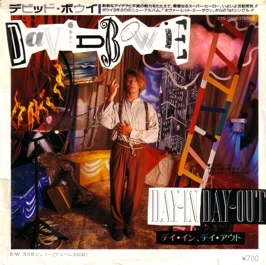 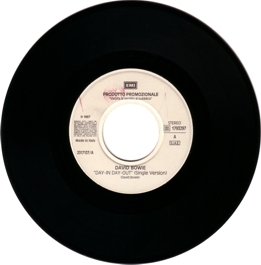 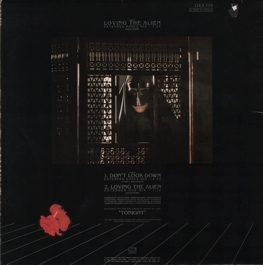 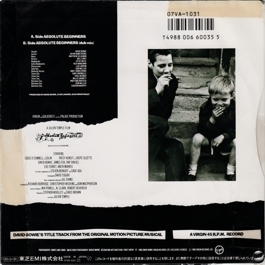 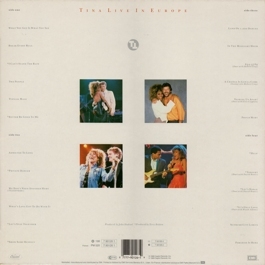 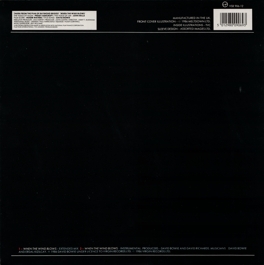 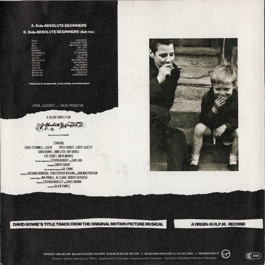 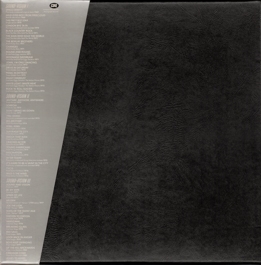 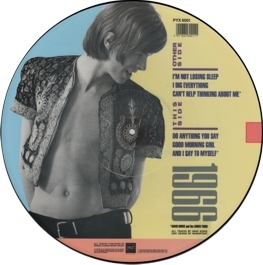 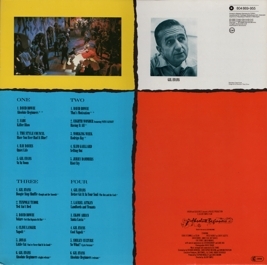 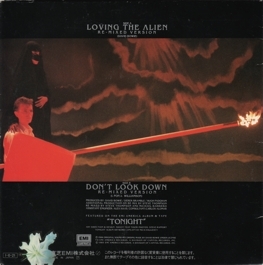 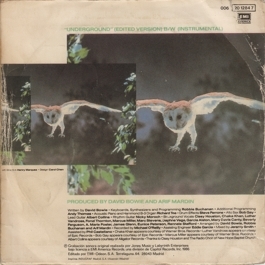 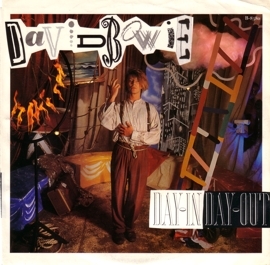 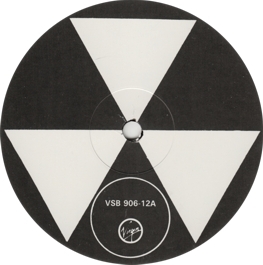 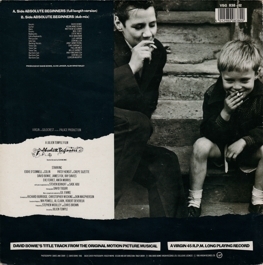 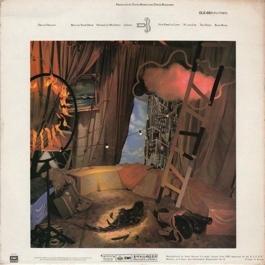 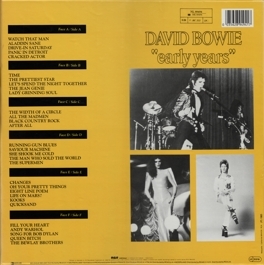 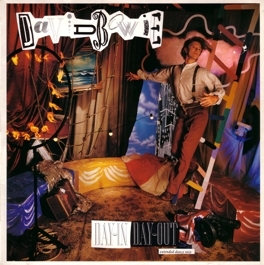 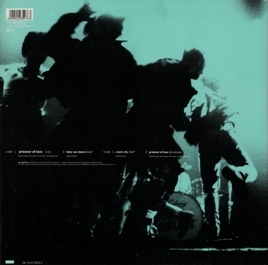 According to Bassman's page, most copies had a printed colour cover, and those with the inserts are limited "advance copies". 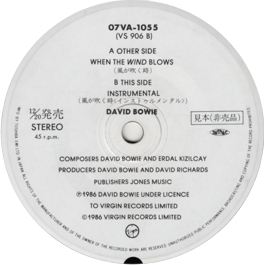 Decide for yourself what sense that makes in the case of a bootleg. 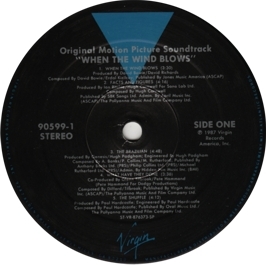 Collector's notes: An audience recording in average sound quality. 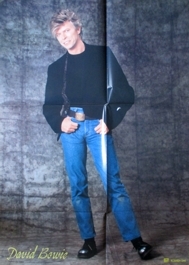 Collector's notes: Some copies came with a poster. 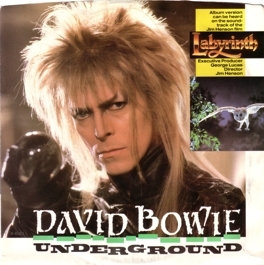 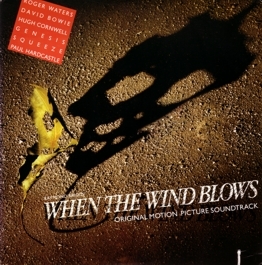 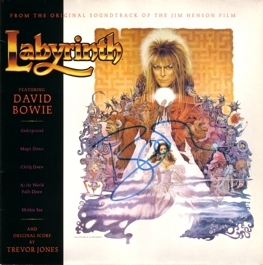 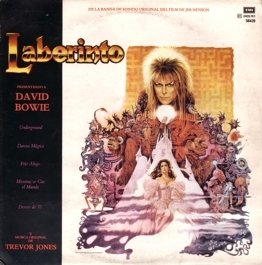 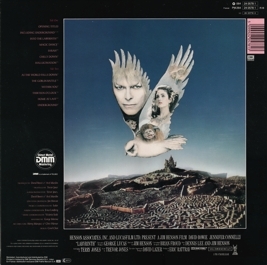 Collector's notes: The first disc of this soundtrack was also available separately, which turned the double album version - and hence Bowie's recording of Volare - into a minor rarity. 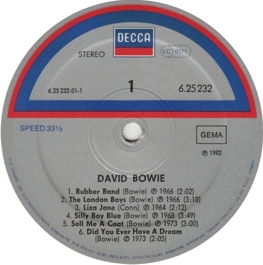 Note that the records bears different catalogue numbers on cover and labels. 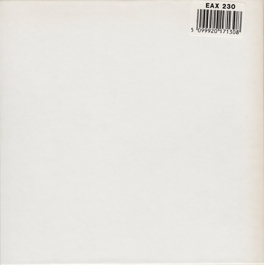 There is an alternative German version of this double album with the number "302 706-420" that contains exactly the same discs. 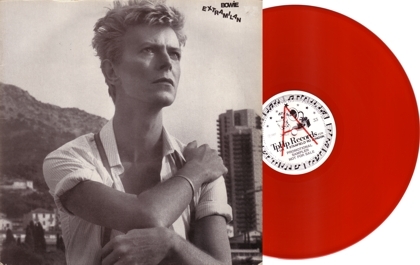 However, this copy is definitely a genuine combination, too: it was bought new in Germany soon after the release of the album. 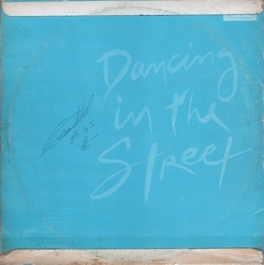 Collector's notes: Apart from the signature, this record is identical to the one in the previous entry. 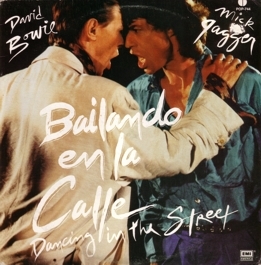 Collector's notes: The only major cover variation that I know of: the large film title is in Spanish. 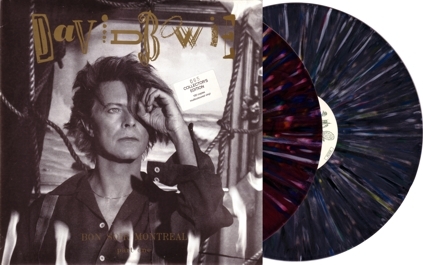 Collector's notes: A beautiful, but absolutely superfluous release. 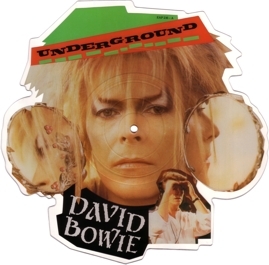 Strictly speaking, it's a pirate disc pretending to be a bootleg. 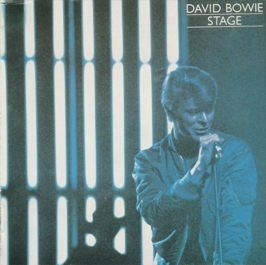 Not surprisingly, the sound quality is very good, but who needs an edited version of Stage? 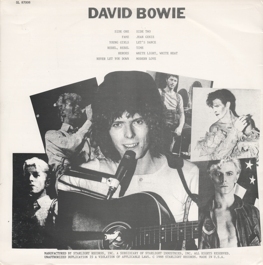 Collector's notes: A rather weird Bowie/Pop bootleg with only three Bowie tracks and absolutely incorrect information on the cover. 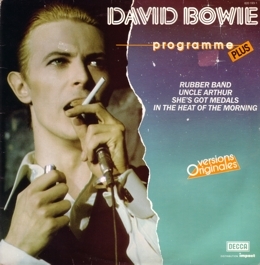 The two BBC session recordings have a rather poor sound, the quality of Stay is better. 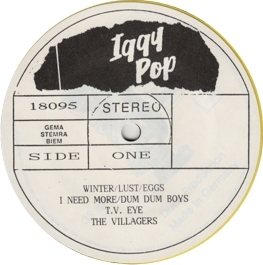 The sound quality of the Iggy Pop tracks is generally better, and, in fact, they are more interesting (if you like his music). 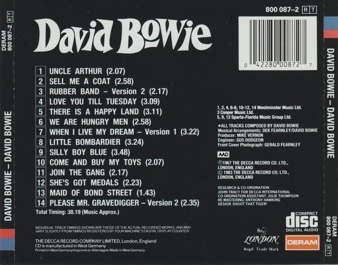 But I doubt that any of these tracks are from the 1977 shows with Bowie. 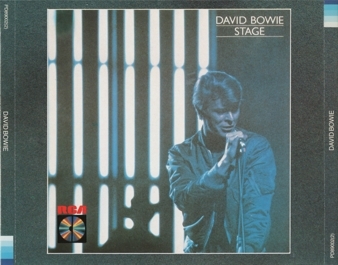 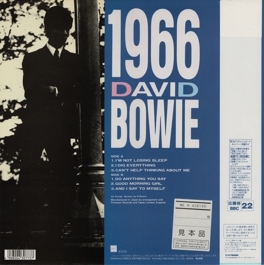 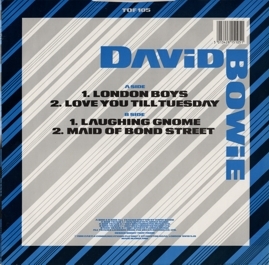 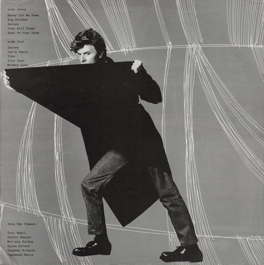 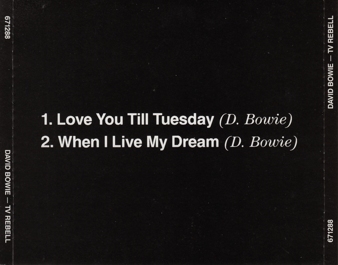 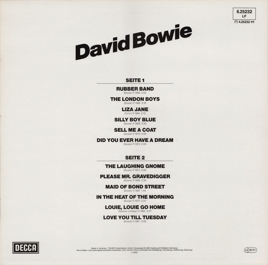 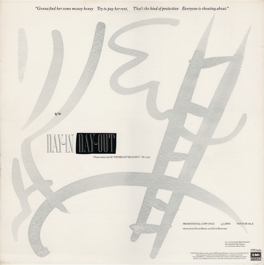 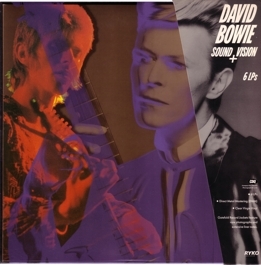 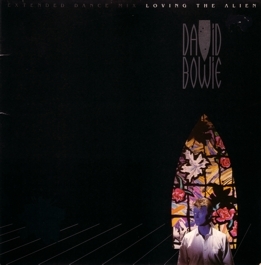 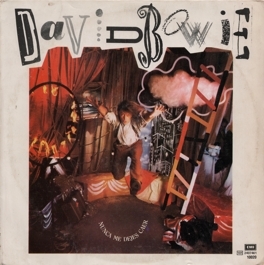 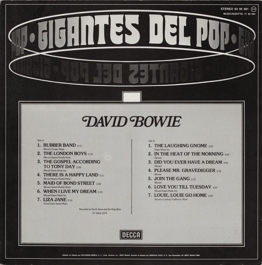 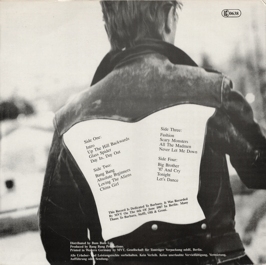 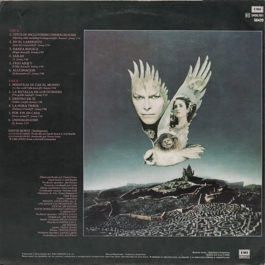 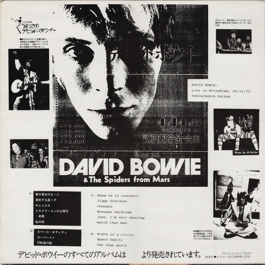 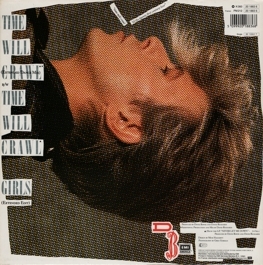 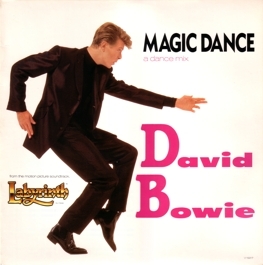 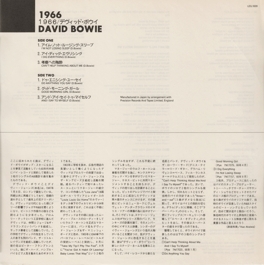 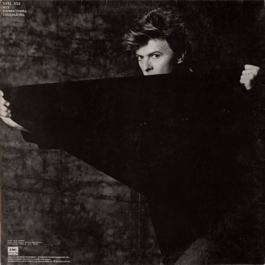 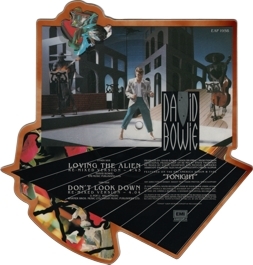 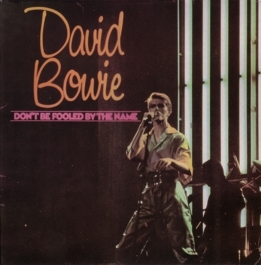 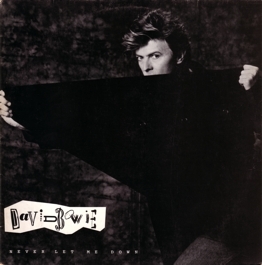 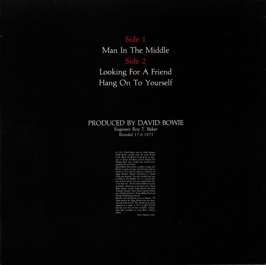 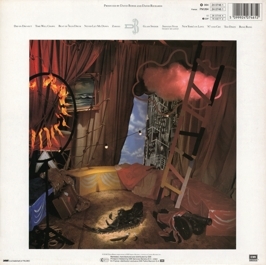 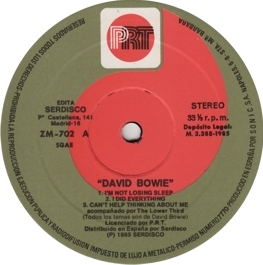 Frifelt doesn't list this album, but an earlier edition called Die Bowie (which is also the title on the B-side label and the cover back of this issue). 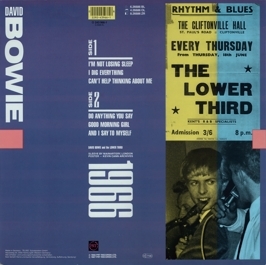 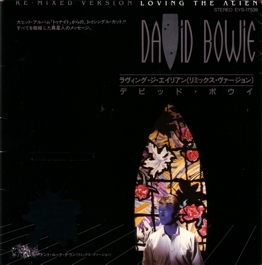 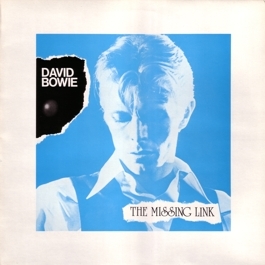 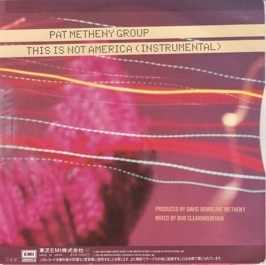 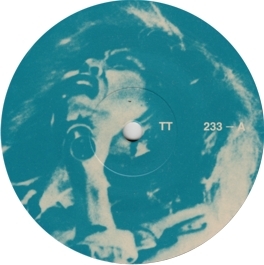 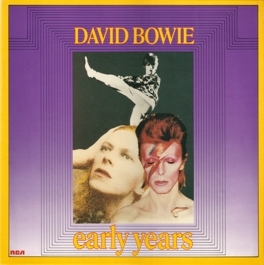 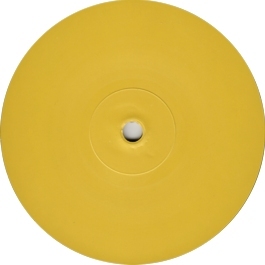 He shows a re-issue of the earlier bootleg with a colour cover, but it's not identical to this release. 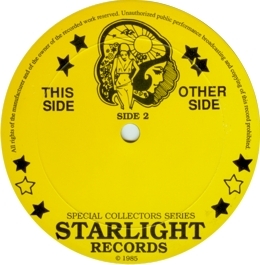 Collector's notes: Another mad compilation from Shelter Records. 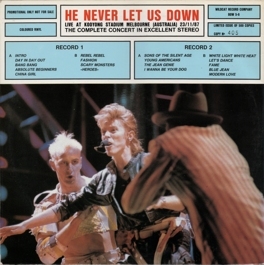 Side 1 has Bowie's complete contribution to the Live Aid Concert including the finale, but in poor sound quality. 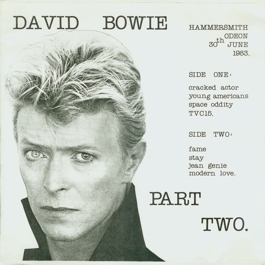 The excerpts from Cracked Actor are all incomplete snippets, but at least the quality is a bit better than on the awful Stardust from the 70's bootleg. 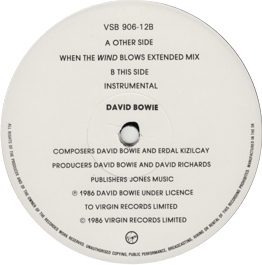 The sound quality of the two BBC tracks is quite good. 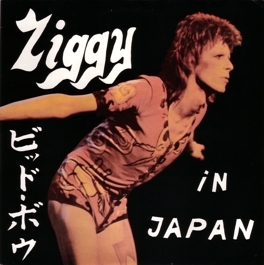 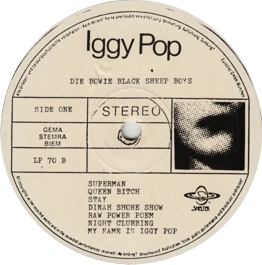 Note that this time Iggy's contribution is not mentioned on the record - the tracks are actually sold as Bowie songs! 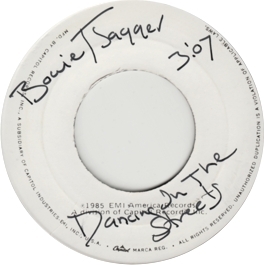 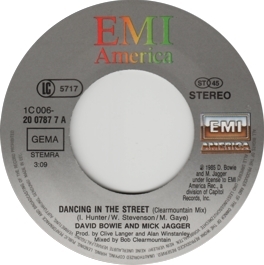 Collector's notes: Let's Dance starts with two verses of the old Chris Montez hit before it turns into the Bowie song. 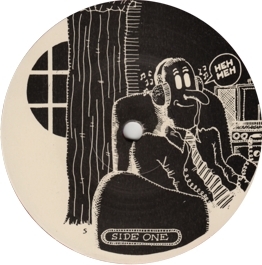 The sound quality of the recording is generally quite bad. 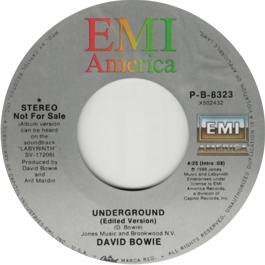 It's also shocking to hear in what a bad shape both Bowie's and Turner's voices were at the time. 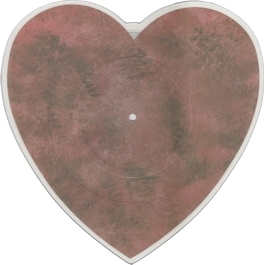 And this is not only due to the sound quality. 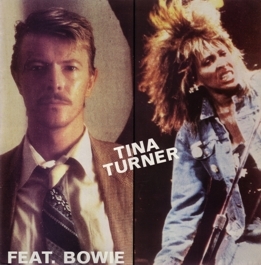 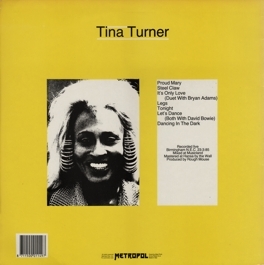 In 1988 "polished" versions of both duets were officially released on Tina Turner's Tina Live in Europe album. 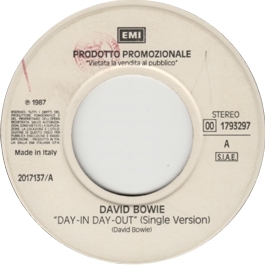 Collector's notes: All the nice bonus stuff couldn't conceil the fact that this was the worst single Bowie had (and has) ever released - unless you turned it round and played the B-side, which was the finest track from the entire recording session. 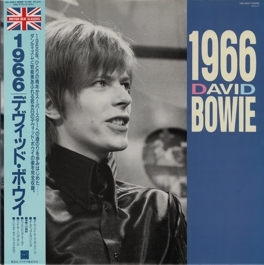 Collector's notes: According to the cover, the catalogue number is K 060 20 1715 6, according to the label, it is 1C K 060 20 1715 6. 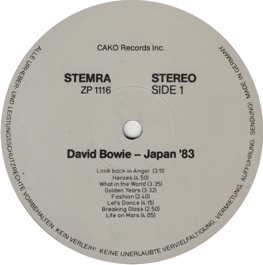 I treat this as a Dutch release because the cover says it was made in the Netherlands, but the catalogue number and the prominence of the Gema box on the labels indicate that it was primarily made for sale in Germany. 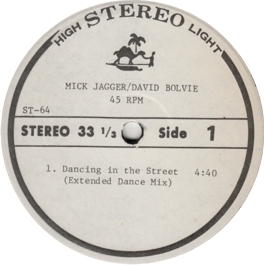 This revised label layout became the standard for Dutch 12" singles for a while. 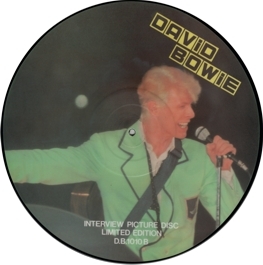 Collector's notes: Another silly interview disc without questions, similar to the Interview and Let's Talk promos. 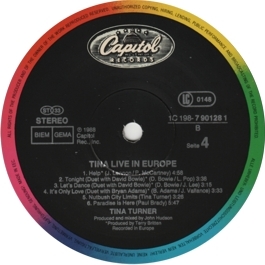 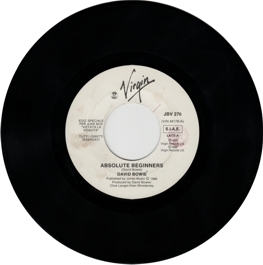 Collector's notes: In most countries the vinyl issue had edited versions of most songs. 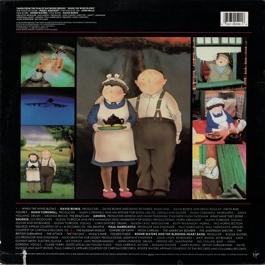 The full-length versions can be heard on the CD and the Japanese vinyl issue. 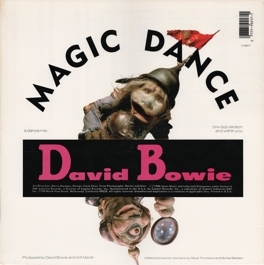 Also note that the original 1987 vinyl versions of this record are the only ones that include the track Too Dizzy, which was even omitted from most later CD releases (an exception might be the 1999 Argentina version, but I can't verify this personally - and, in fact, as a vinyl collector I don't care very much...). 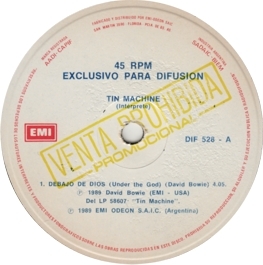 Collector's notes: Another Argentine release with a Spanish title on both cover and labels. 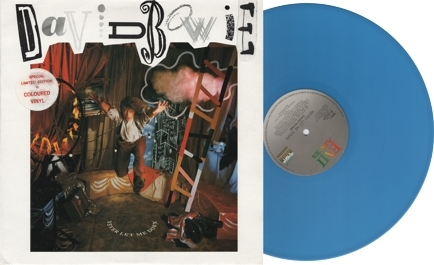 Other notes: EMI Australia released a limited edition blue vinyl version of the album. 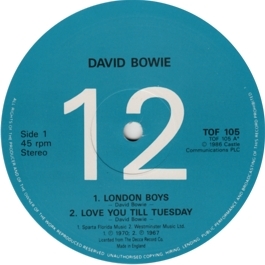 Collector's notes: It has sometimes been claimed (for instance by Pegg) that the full-length versions of the songs that had been edited for most issues (like the Dutch one) are available only on the CD version of the album. 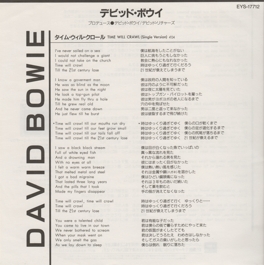 However, the Japanese vinyl issue features the unedited tracks, too. Only early copies included the poster. 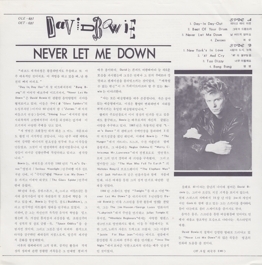 Collector's notes: Strangely, the South Korean issue of the album is considerably shorter than all other editions: it omits three tracks (compared to the Dutch release) and features only the shorter, edited vinyl versions of five tracks. 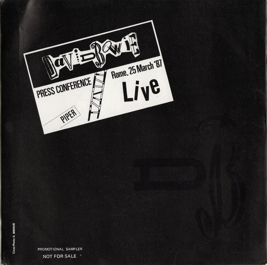 Collector's notes: A Spanish promo-only album intended to promote the live shows of three of EMI's most popular artists of the time. 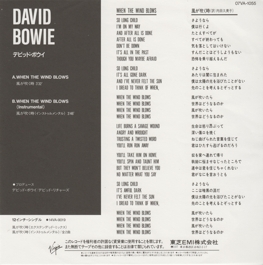 Despite the title all tracks are regular studio versions. 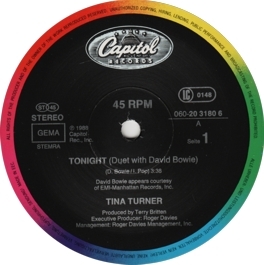 Given that the Tina Turner and Duran Duran concert dates were between 17th and 25th May, I suppose that this album was released in April or early May. 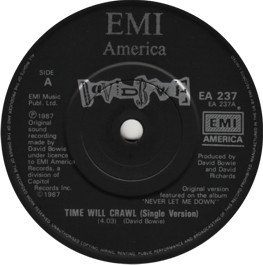 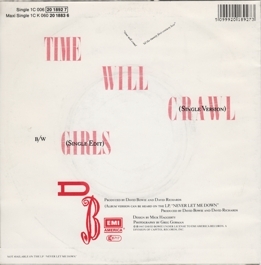 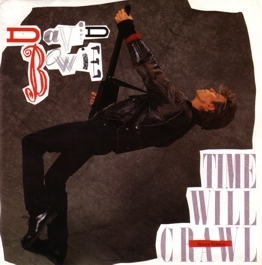 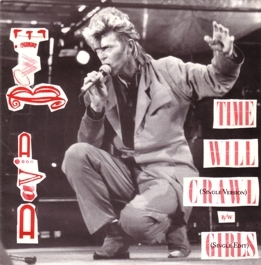 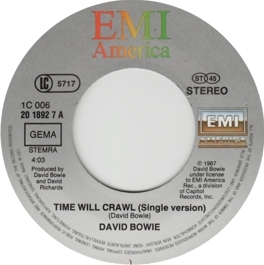 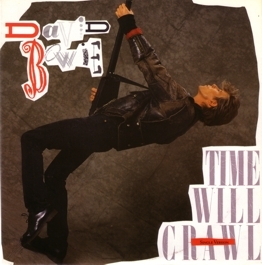 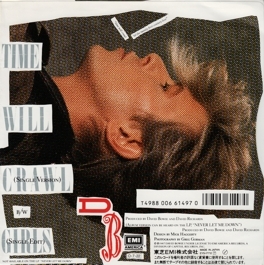 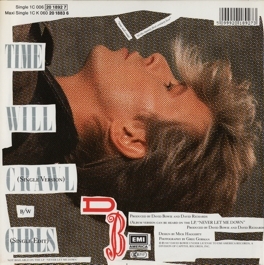 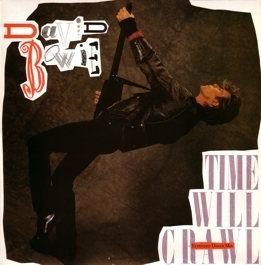 Note that Time Will Crawl is called Time Crawl on both label and cover. Collector's notes: For some reason, EMI UK didn't seem to be content with this release. 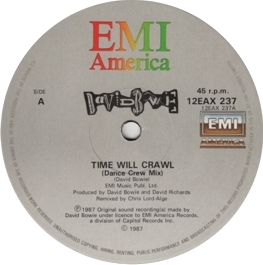 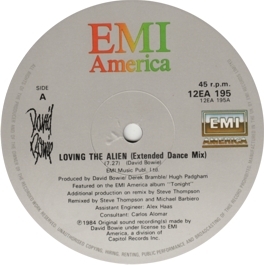 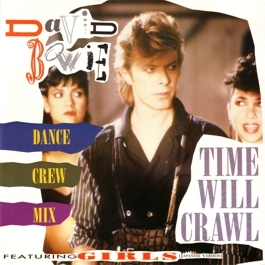 Note that the "Dance Crew mix" of Time Will Crawl is not simply another name for the extended dance mix on other issues. 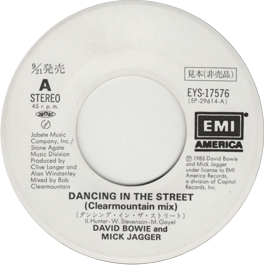 It's a completely different mix. 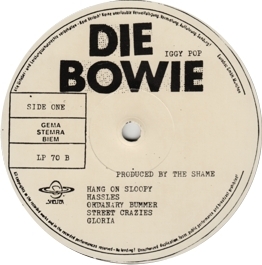 Collector's notes: Another Netherlands-pressed record that was primarily for the German market (see the prominent "GEMA" sign). 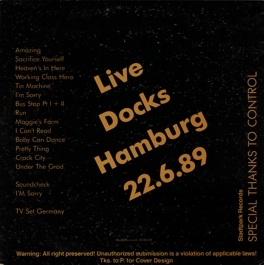 Collector's notes: Same labels as the German issue. 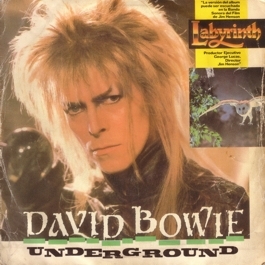 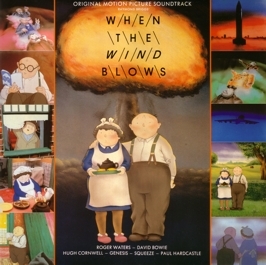 A very rare alternative cover, which is usually said to be made in Austria. 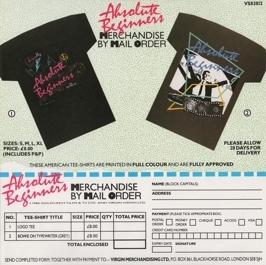 Not many of these seem to have been printed. 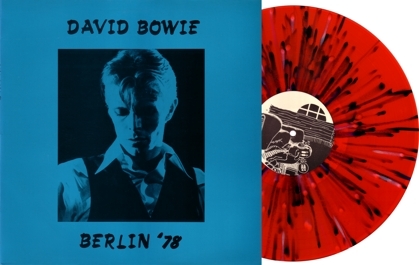 The record that normally comes with it is the German issue. 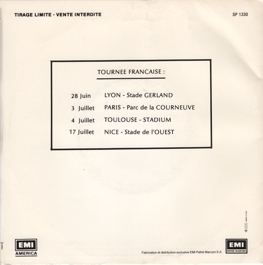 Collector's notes: A French promo-only single to promote the upcoming tour dates in France. 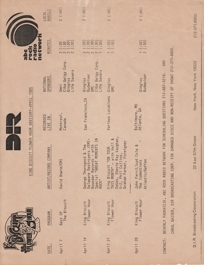 Collector's notes: The insert (cue sheet) of this radio station promo doesn't give any details concerning the source of the recordings. 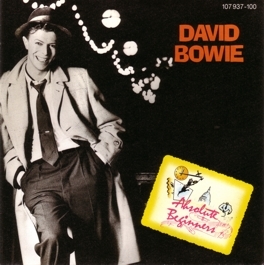 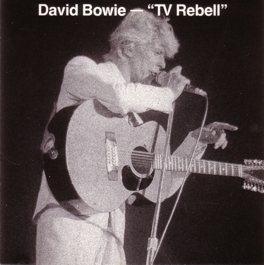 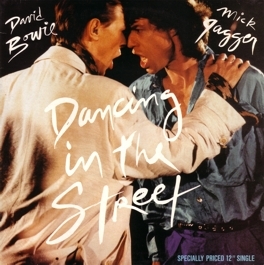 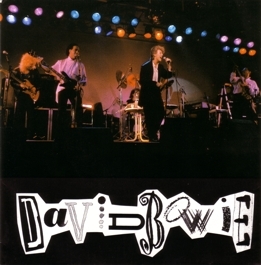 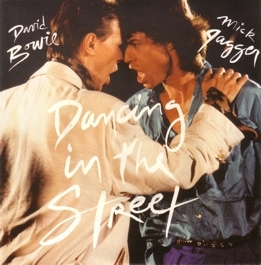 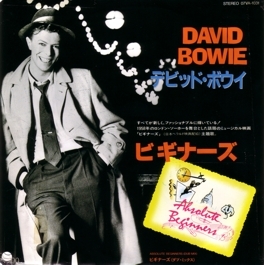 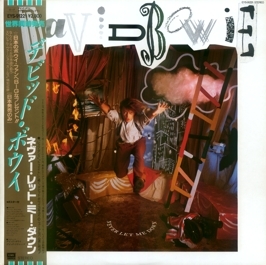 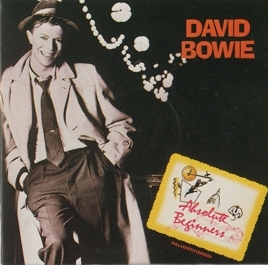 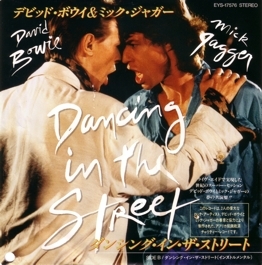 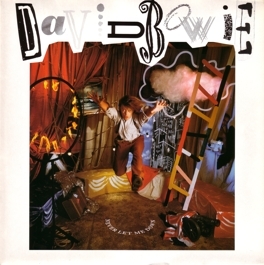 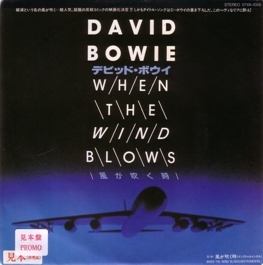 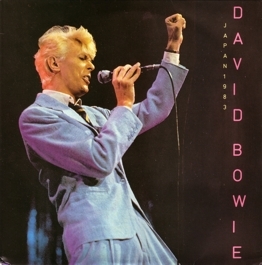 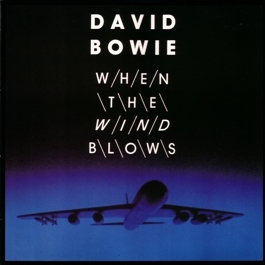 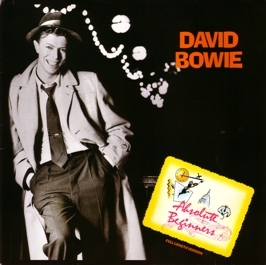 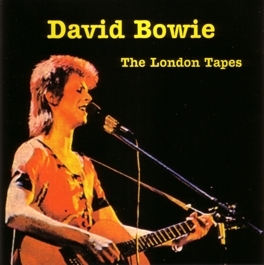 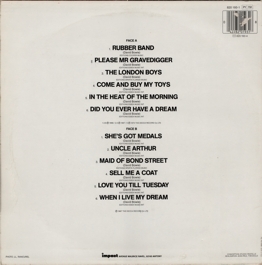 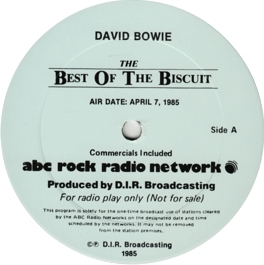 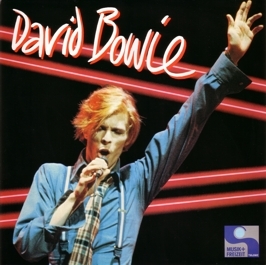 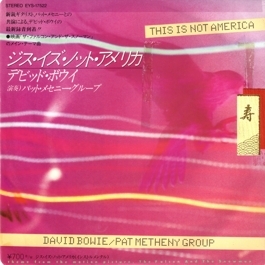 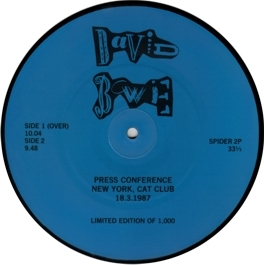 Suffragette City is clearly taken from the David Live album, Bang Bang is introduced with a mention of the Cat Club press conference, and the remaining live tracks are from the professionally recorded 1983 Montreal gig (all these tracks except "Heroes" can also be heard on the Best of the Biscuit album). 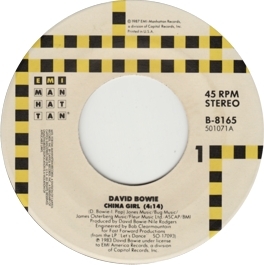 Collector's notes: Regardless of what the label says, this is simply the album version. 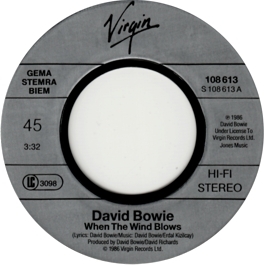 Collector's note: Another Dutch release made primarily for the German market. 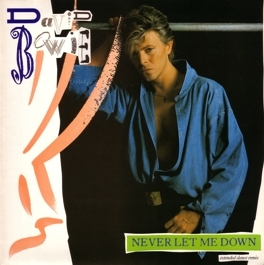 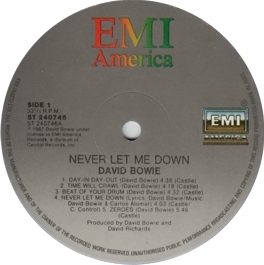 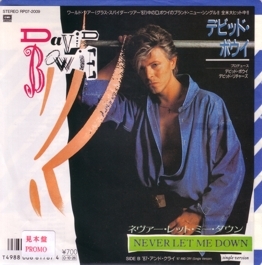 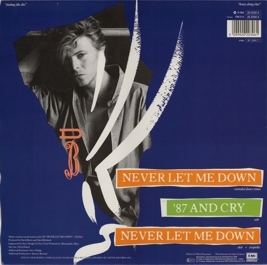 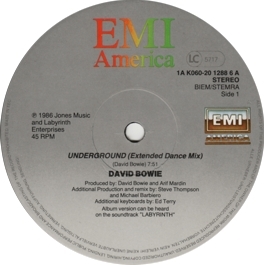 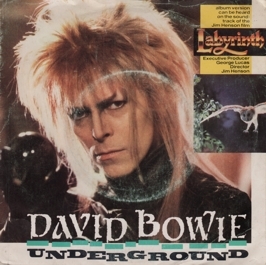 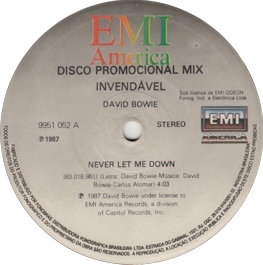 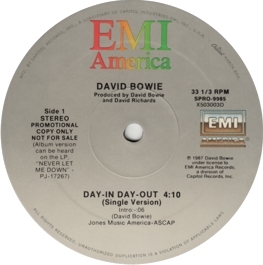 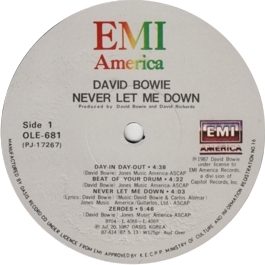 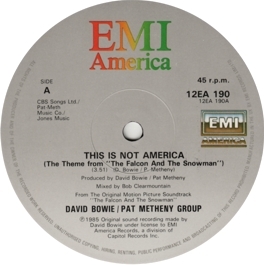 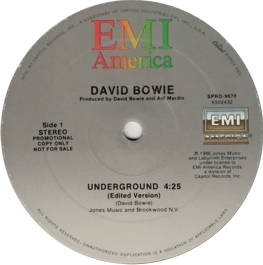 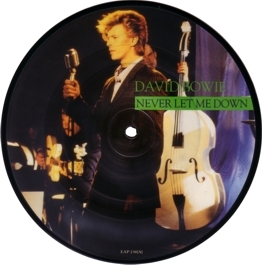 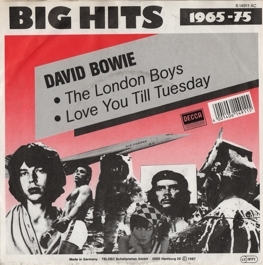 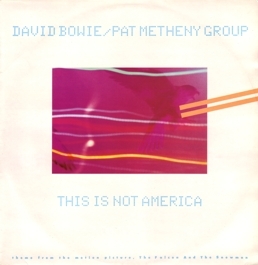 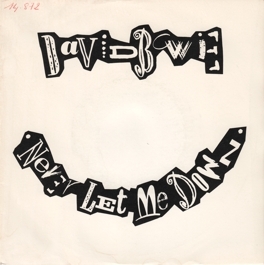 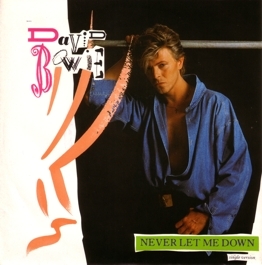 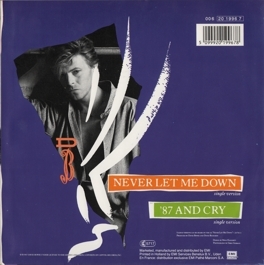 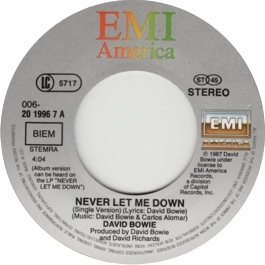 Collector's notes: While EMI USA seemed to love the song so much that they released it as a promo-only record, Bowie seemed to hate it so much that it was omitted from (most) subsequent releases of the Never Let Me Down album! 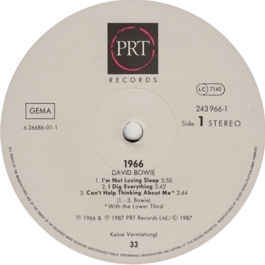 Collector's notes: Pegg gives 10/1987 as the release date of the UK issue of this record, and, in fact, my German copy has "1987" on the cover, too. 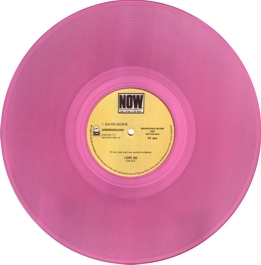 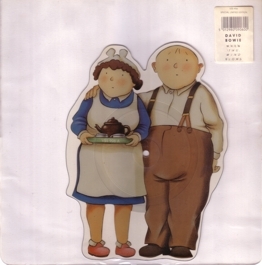 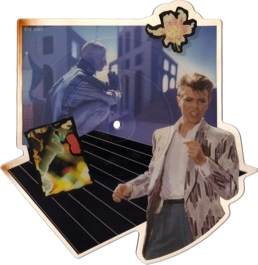 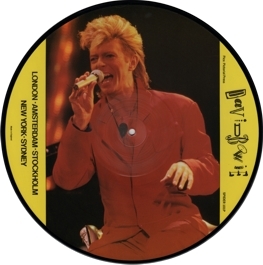 But note that the UK picture disc version has "1988" on it. 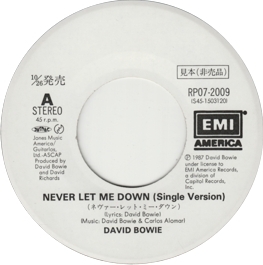 Collector's notes: A really awful rip-off release. 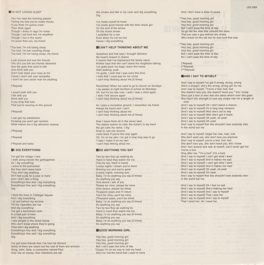 Let's Talk had already been a castrated version of the earlier promo-only album King Biscuit Flower Hour – A Look at the 70's (1980), since all the music had been edited out. 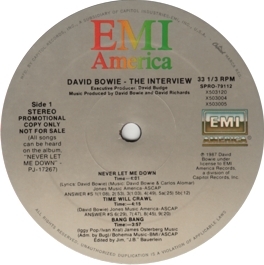 Editing the remaining interview even further makes it absolutely useless. 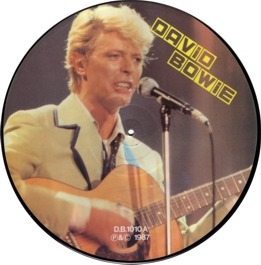 Furthermore, the sound quality is bad and it's not a particularly beautiful picture disc. 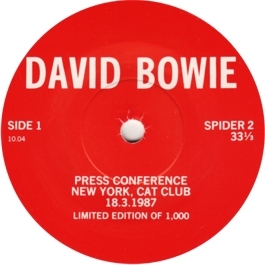 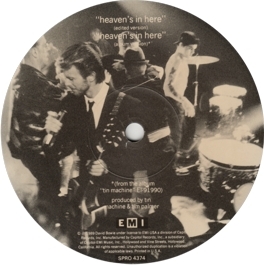 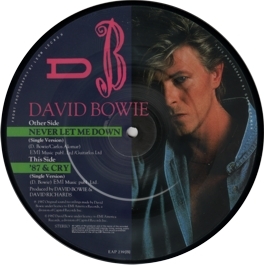 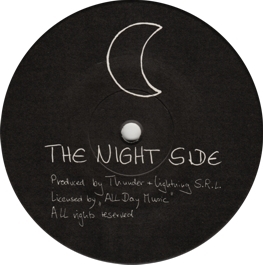 Other notes: recorded at the Cat Club, New York, 18/03/1987; picture disc issue of the record in the previous entry. 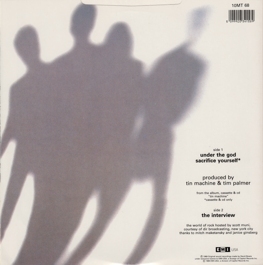 Collector's notes: Although this record is as superfluous as the singles in the previous entries, it looks quite nice, at least. 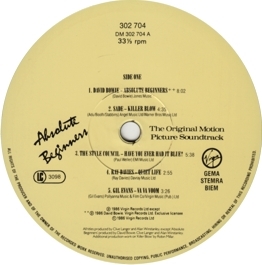 Collector's notes: First of all, this record is not one-sided, as Frifelt claims. 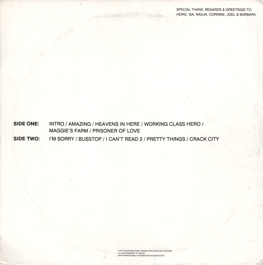 Side 1 seems to have been taken from a radio transmission. 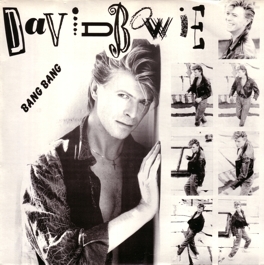 The sound quality is very good, but there are voiceovers by an announcer and Bang Bang is heavily edited. 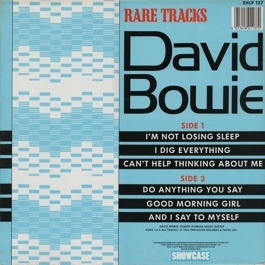 Side 2 is an audience recording with less good (but still quite good) sound, and the songs are in full length here. Collector's notes: My copy of this album has labels from an Iggy Pop bootleg pasted over the original Duck labels. 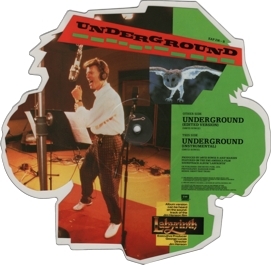 Nice sound quality for an audience recording from that era. 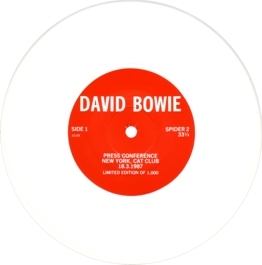 Collector's notes: The sound is a bit thin, but very listenable. Collector's notes: An audience recording in acceptable sound quality. 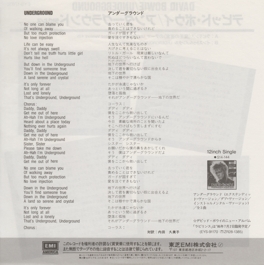 Some more songs from this show can be heard on the bootleg Extramilan. 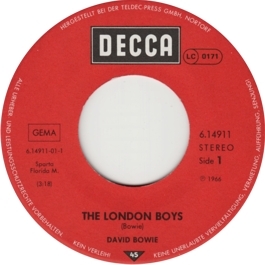 Collector's notes: A very thin sound with little bass, but acceptable. 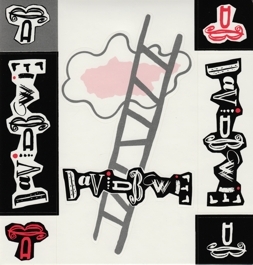 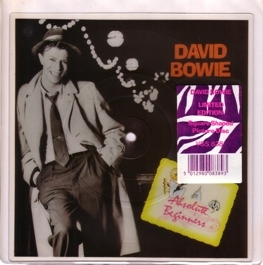 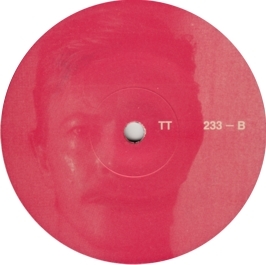 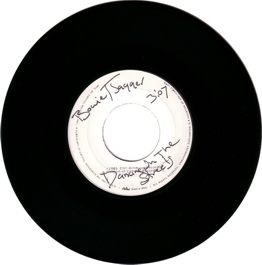 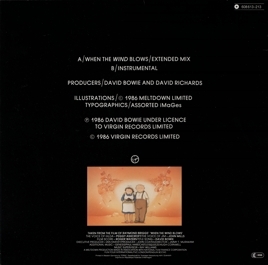 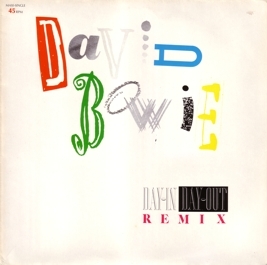 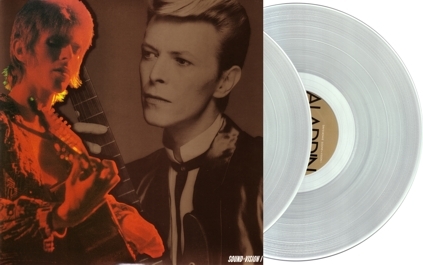 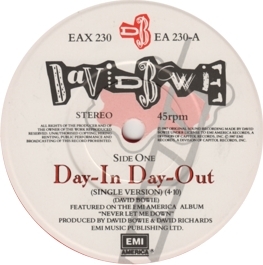 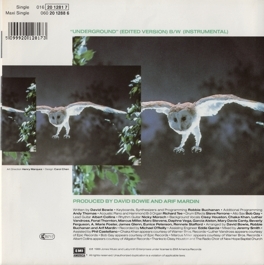 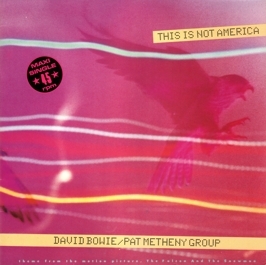 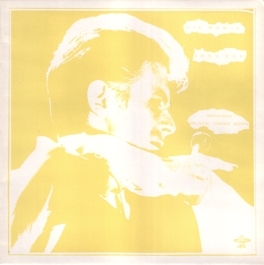 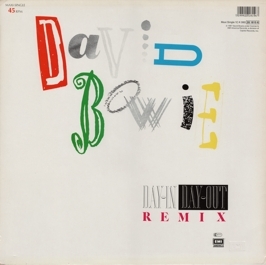 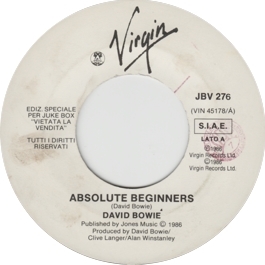 In his Illustrated Bowie Bootleg File, Frifelt writes that this is the first edition of this bootleg, but on Bassman's David Bowie Page he claims that the yellow/orange version is the second pressing. Since the online version is more up-to-date, it will probably contain the more correct information. 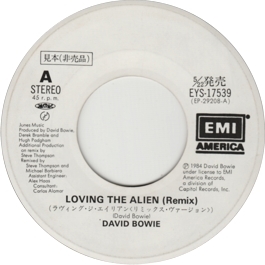 Collector's notes: This is a rather rare bootleg. 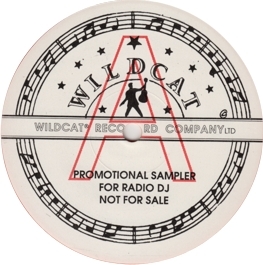 Only few copies were distributed, since the bootleggers got busted after finishing their product. 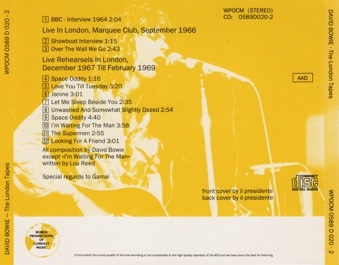 The sound quality is quite good, but given that the show was recorded from an official radio broadcast (as Frifelt writes), it could be better. 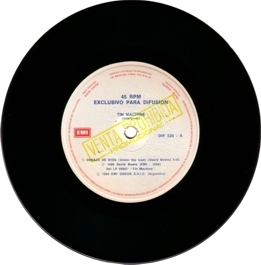 Collector's notes: Another typical audience recording from the time. 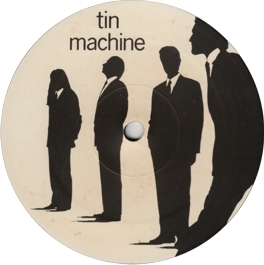 Thin sound, but acceptable. 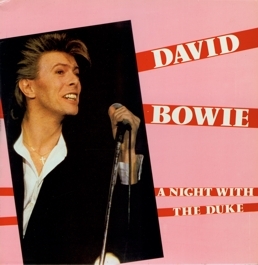 It's the same show as on the A Night with the Duke bootleg, but still the concert isn't complete. 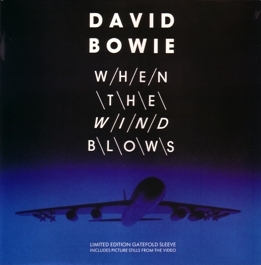 Obviously from the same people who made the Waiting in the Wind bootleg. 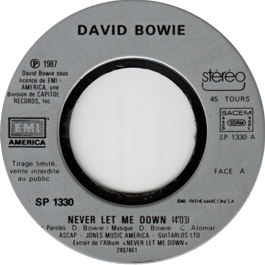 Collector's notes: A very short show, due to bad weather conditions. 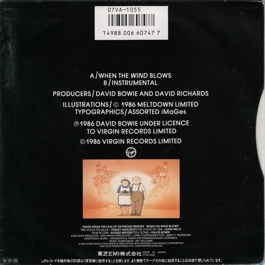 Judging from the label design, it's one more by the guys who had released Waiting in the Wind and Extramilan. 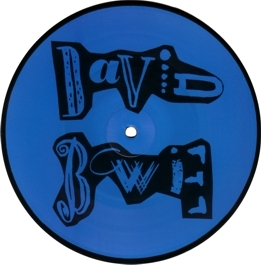 The sound quality is okay, and the record features Bowie's version of I Wanna Be Your Dog, which is quite rare on vinyl. 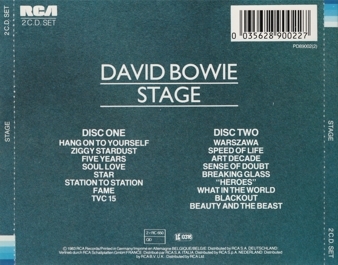 Collector's notes: Taken from a TV special that was in turn based on the official tour video (offically released on DVD in 2007). Nevertheless, the sound quality is rather poor. 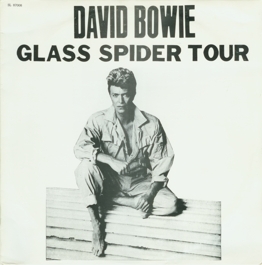 This album became absolutely superfluous with the realease of the brilliant Glass Spider Live double LP in 2009. 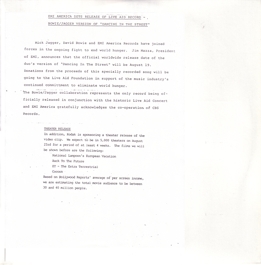 Of historical interest only. 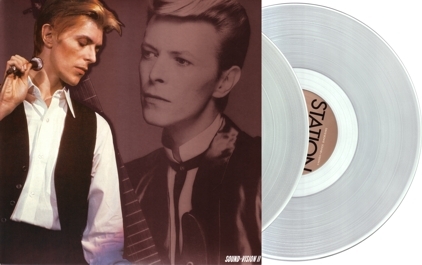 Collector's notes: See the original edition for criteria to distinguish the original and this re-issue. 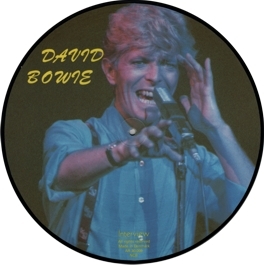 Collector's notes: Picture disc version of the album from the previous year. 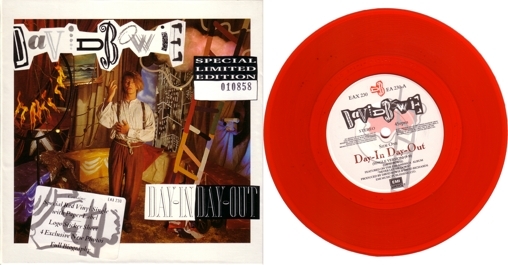 Collector's notes: I've also read the claim that this album was released in 1989. 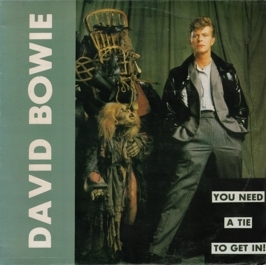 This may be true, I simply can't say. 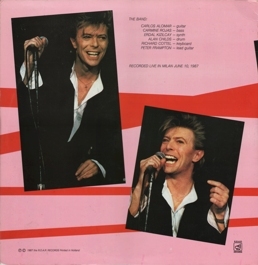 The release date is based on the fact that the single entered the Swiss charts at the end of March 1988. 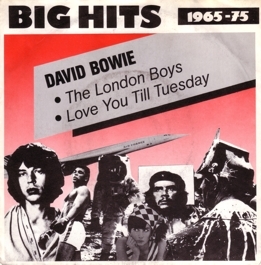 So I think it was released that month (just like its parent album). 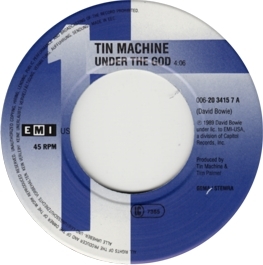 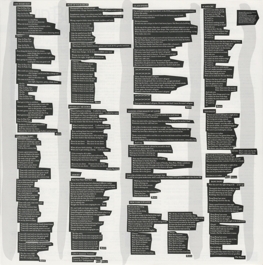 The single is another example of a record that can be classified as either Dutch or German. 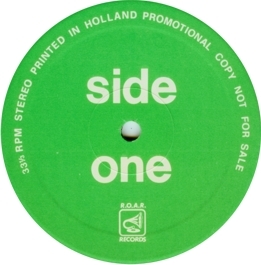 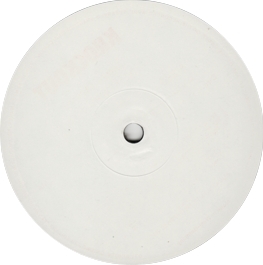 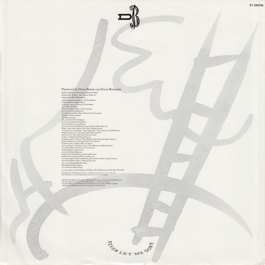 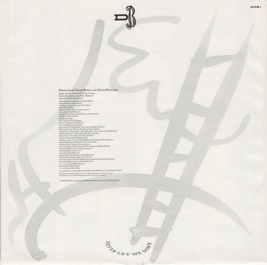 The cover says that the record was made in Holland, but the prominent "GEMA" logo suggests that the record was primarily distributed in Germany. 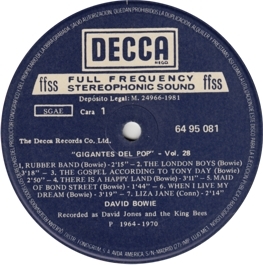 Collector's notes: As in the case of the record in the previous entry, this record can either be classified as Dutch or German. 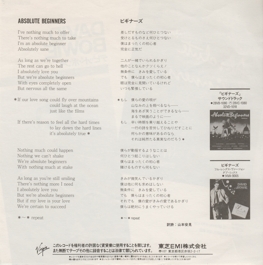 Collector's notes: And, finally, the Let's Dance medley also saw an official release. 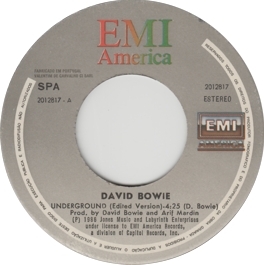 Collector's notes: Two tracks from a great session in fantastic sound quality! 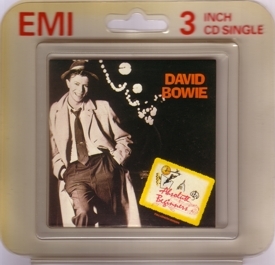 Collector's notes: In the late 1980s, some record companies tried to introduce the new format of the 3"CD single. 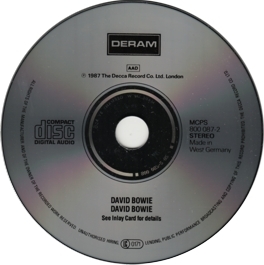 The CDs were so small they were usually sold in larger plastic covers and couldn't be played without an adapter in many CD-players. 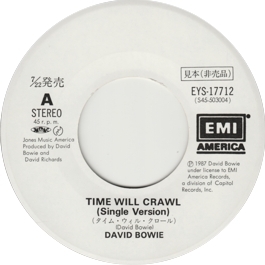 Understandably, the format went nowhere. 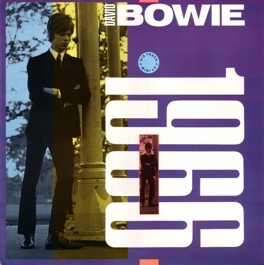 Collector's notes: One more issue of the 1966 album. 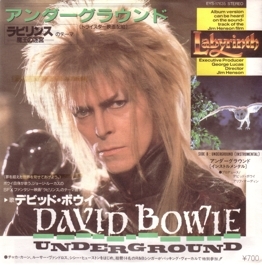 However, the Japanese release has a beautiful alternative cover. 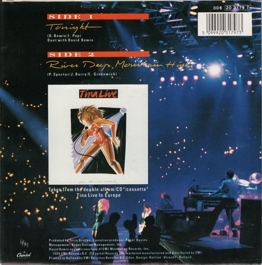 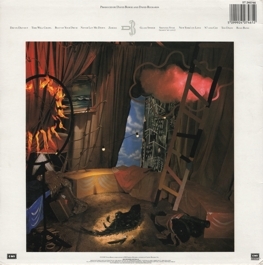 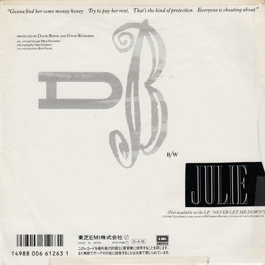 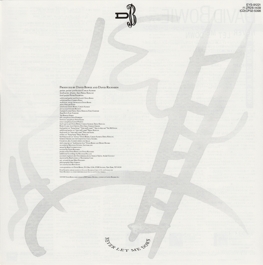 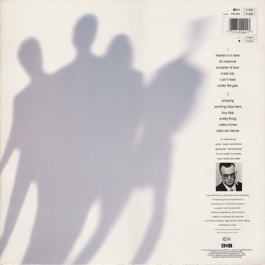 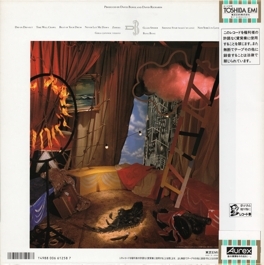 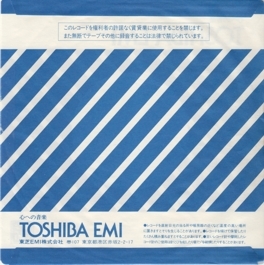 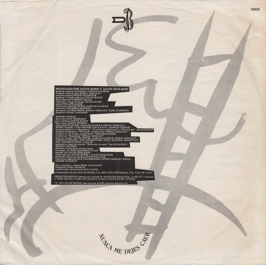 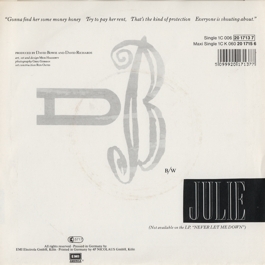 The month of release can be found on the back of cover ("R-12-16", where "R" stands for 1988). 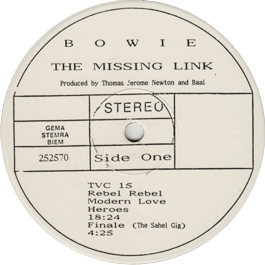 The correction slip seems to clear up the mono/stereo confusion caused by contradictory information on cover and labels. 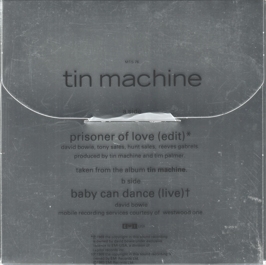 Collector's notes: Basically, this is a truncated version of the 1987 Bang Bang bootleg. 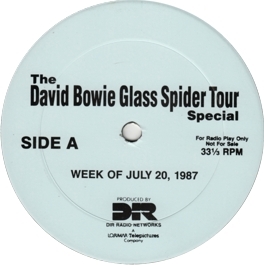 Again, the sound quality is better than on most audience recordings from the tour, but rather dull for an album based on a FM broadcast. 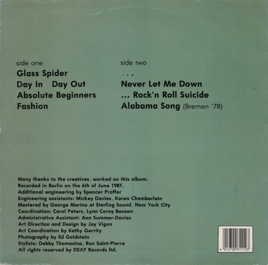 Alabama Song also sounds duller than on the Live in Bremen bootleg (and it was copied from an album with clicks). 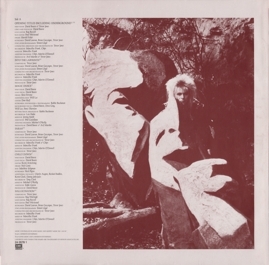 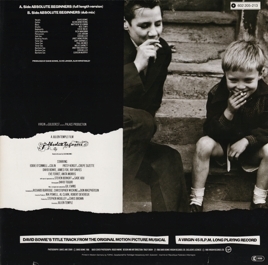 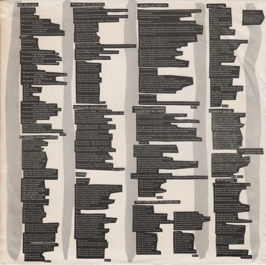 The picture is rounded up by the absurd track list on the cover back. 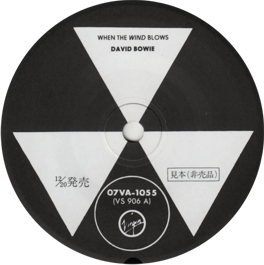 A superfluous release! 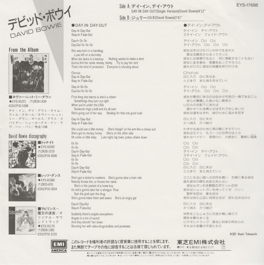 Collector's notes: This is the second CD release of this album. 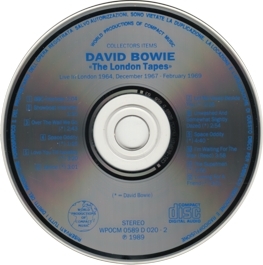 A first issue, which had white lettering and the same catalogue number, had been released on the London label in 1983, also in Germany. 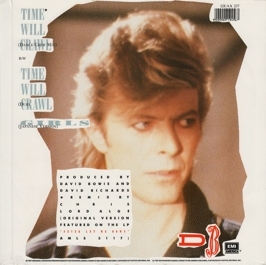 The Illustrated db Discography gives 1987 as the release date of this second issue, but this can't be correct, since the text in the booklet is from 1988. 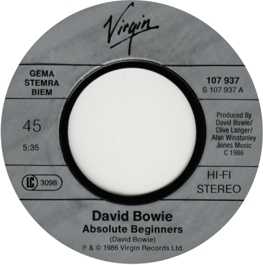 Pegg seems more reliable here. 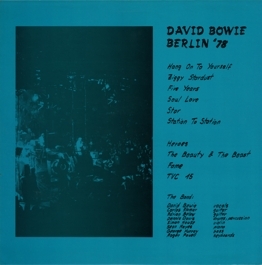 Collector's notes: In Germany, both German and Dutch pressings of the album were sold. 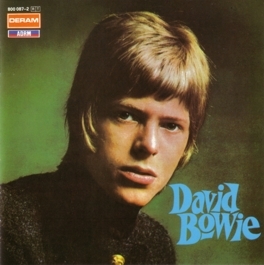 The picture on the front cover of the German pressings is slightly cropped, so that the upper part of Tony Sales' hair has been cut off. 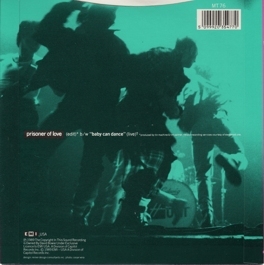 Furthermore, whereas the German issue has "Electrola" on the back, the Dutch issue has "Printed in Holland" and a slightly different back cover layout. 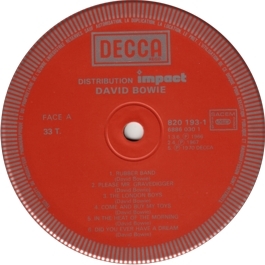 But both versions use the same discs: the labels are identical. 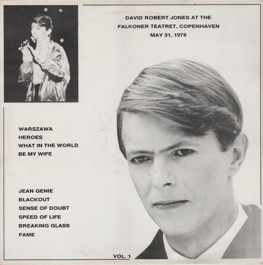 Collector's notes: The Dutch issue with the "more complete" front cover. 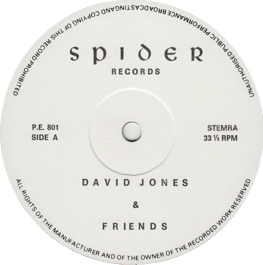 Same labels as in the previous entry. 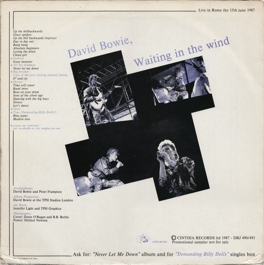 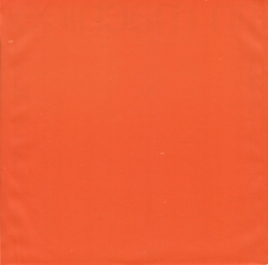 Some Dutch copies (like this one) have an orange inner sleeve (which was also used for French discs), though some came in a white inner sleeve similar to the German one. 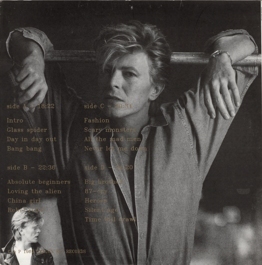 Collector's notes: Compared to the vinyl issue, the CD version of the album contains two bonus tracks. 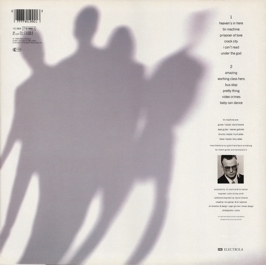 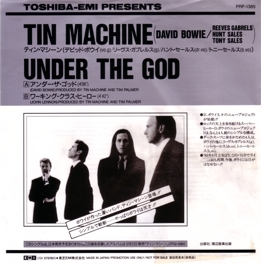 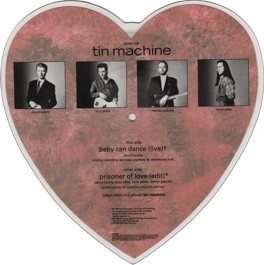 Collector's notes: This single contains one of the bonus tracks from the CD issue of the first Tin Machine album. 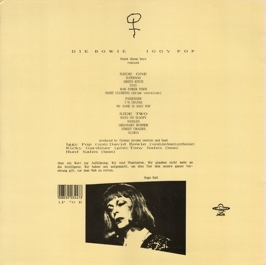 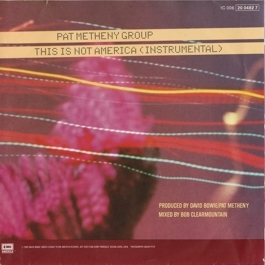 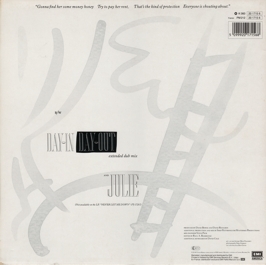 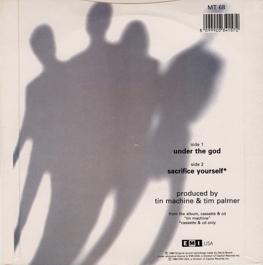 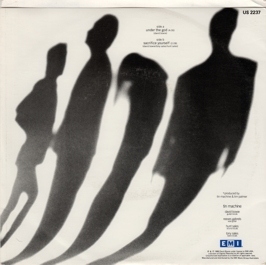 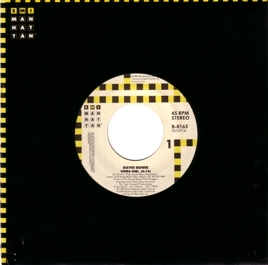 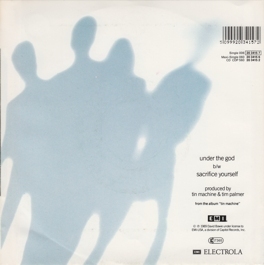 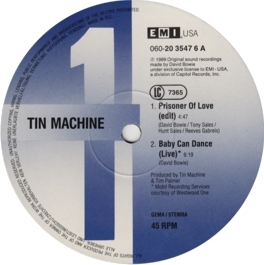 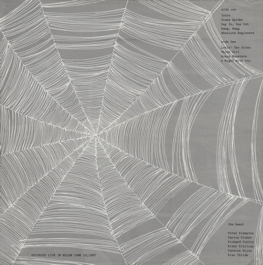 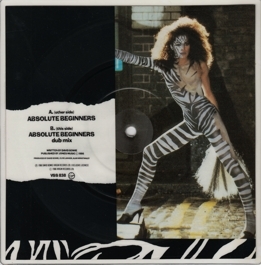 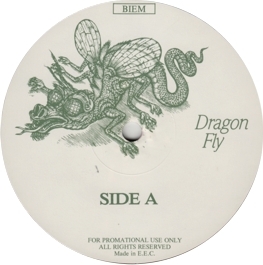 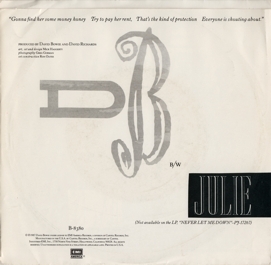 The single was released in all common vinyl formats: 7", 10" and 12". 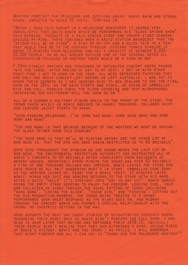 Collector's notes: Side 2 is an interview with the band. 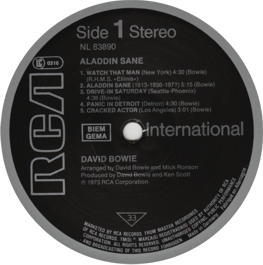 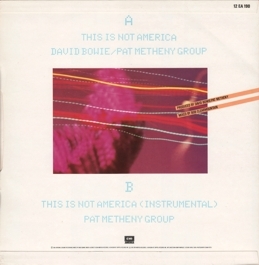 Collector's notes: Strangely, the Dutch issue used the B-side track, i.e. 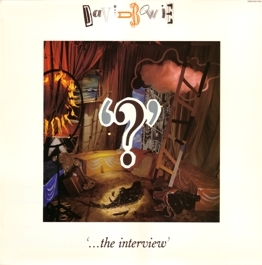 the interview with the band, for the title. 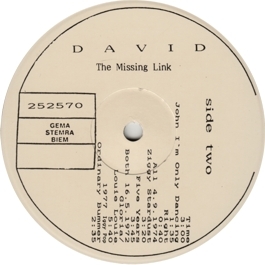 This is another example of a record that can either be classified as Dutch (due to the cover) or German (due to the prominent "GEMA" logo and the catalogue number). 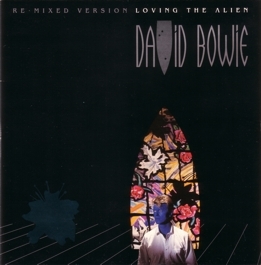 Collector's notes: This is a fantastic box set, although (or maybe because) its choice of tracks is rather idiosyncratic. 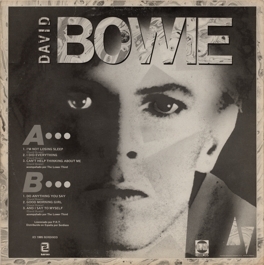 It's partly a "greatest hits" collection, partly a collection of rarities, and partly a set that wants to make you familiar with good, but less popular, Bowie tracks. 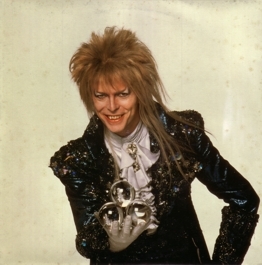 And it works well - very well! 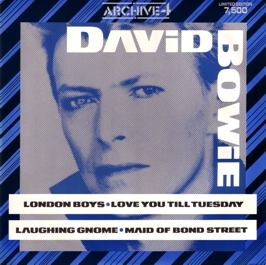 Since it contains a lot of rare tracks in impeccable sound quality, it is still indispensable for any Bowie collector. 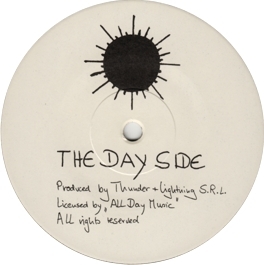 A note on the labels: they are individually designed, but I have decided not to show them all, because they are similar. 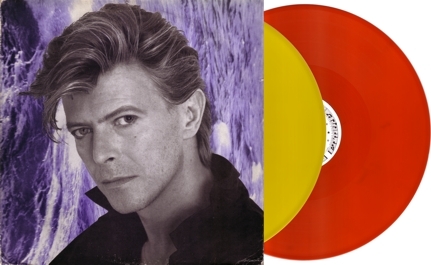 Each double album has its own label colour. 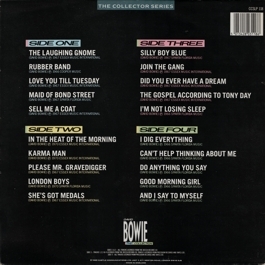 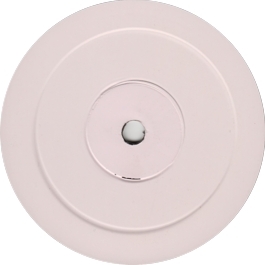 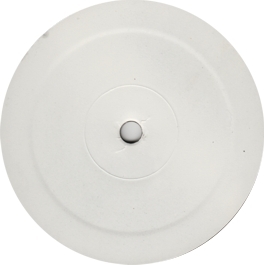 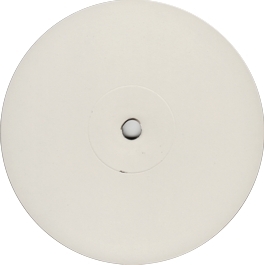 The A-side labels always bear the names of the albums covered by the respective record, and the B-side labels are as shown in the picture, only the colour varies according to the double set they belong to. 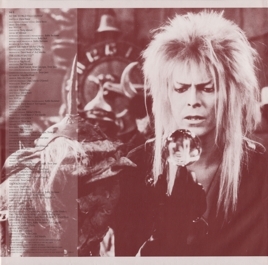 Note that in order to save space I have also changed the usual order of the pictures: I first show the cover backs, and than the inside of the covers. 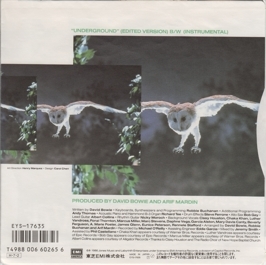 Collector's notes: The first CD issue of the Sound + Vision box set came with this additional CD single, but some copies seem to have been distributed separately as promos. 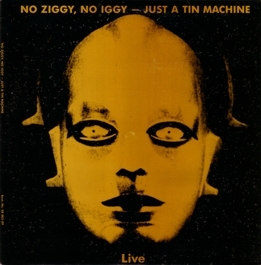 The sound quality of the live tracks is as great as expected. 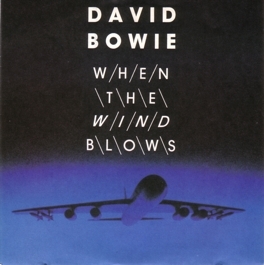 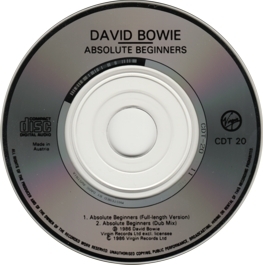 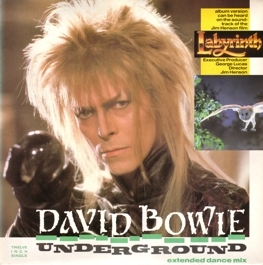 This was one of the first Bowie CDs to include a video; later such CDs were often called "enhanced CDs". 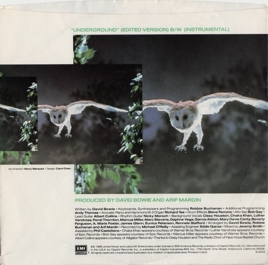 What seemed to be a good idea at the time is less convincing with hindsight: such videos don't meet later standards concerning resolution and picture quality. 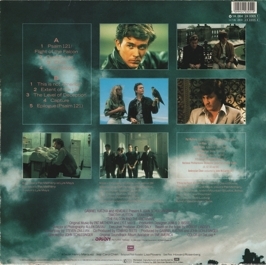 Collector's notes: The fold-out insert turns the cover into a booklet. 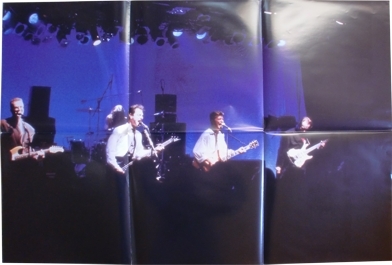 I have only shown the innermost double page here. 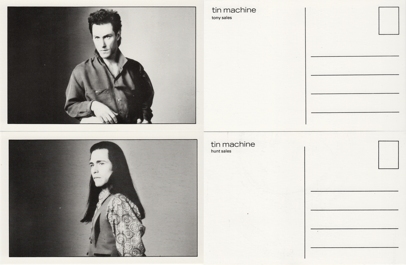 Collector's notes: Same labels as in the previous entry. 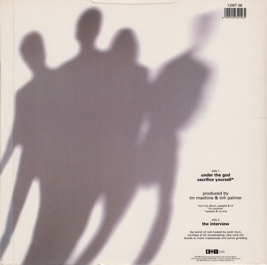 Collector's notes: Jeepster is just a few instrumental seconds of the song. 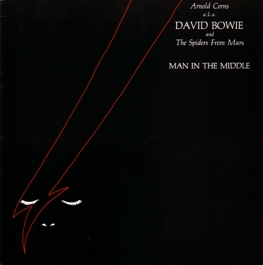 I still wonder why there are two takes of I Can't Read (and where the second take comes from). 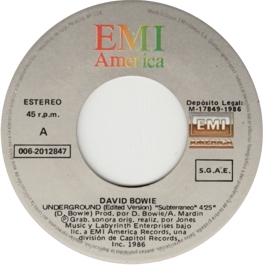 The sound quality is not particularly good, but acceptable. 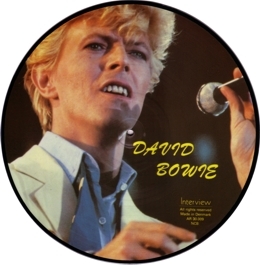 Collector's notes: The sound quality of the album is okay, but could be better. 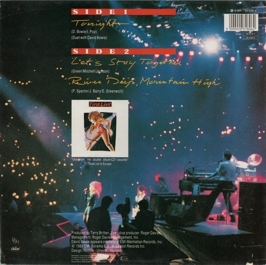 The sound of the track from the National Ballroom is superior. 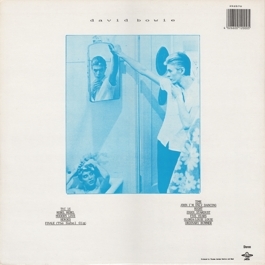 Note that the picture on the cover back is actually shown upside down on the record, but I have decided to show it the logical way here. 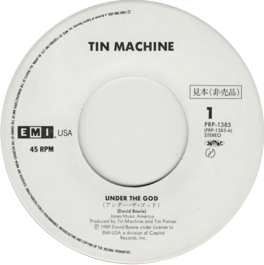 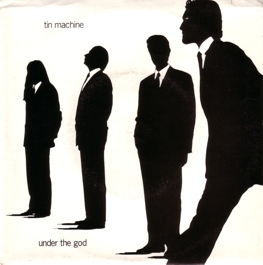 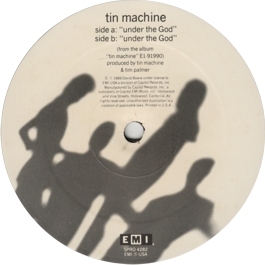 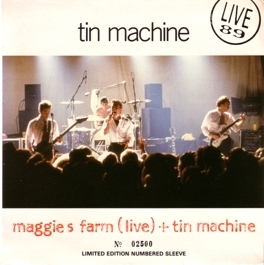 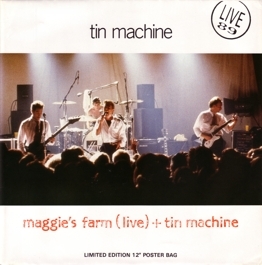 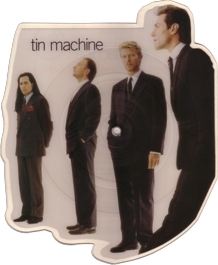 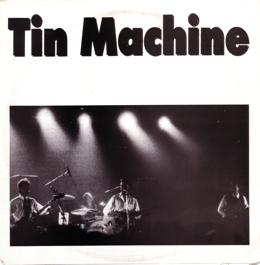 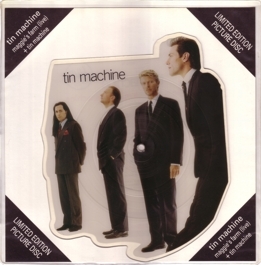 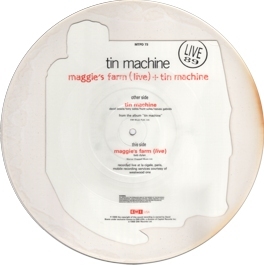 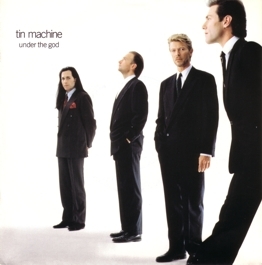 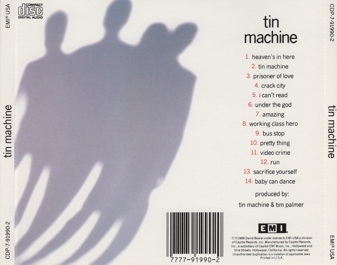 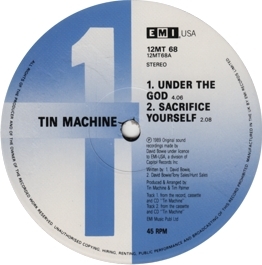 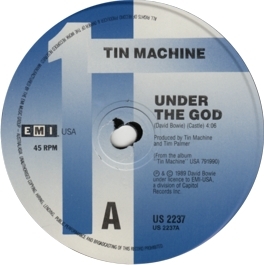 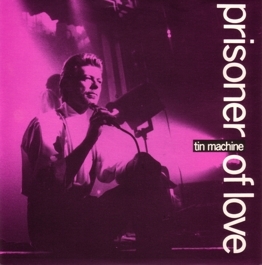 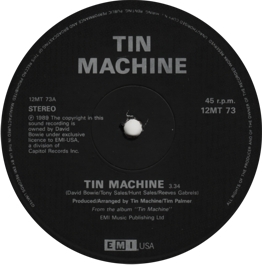 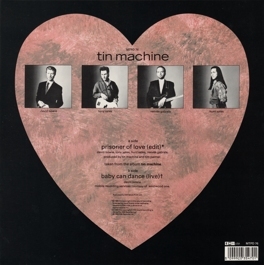 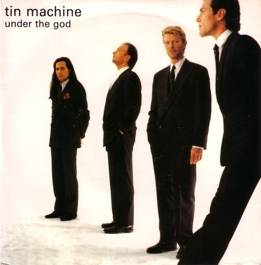 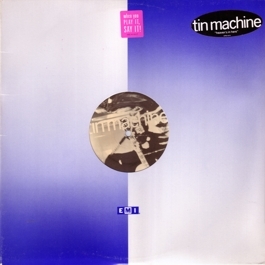 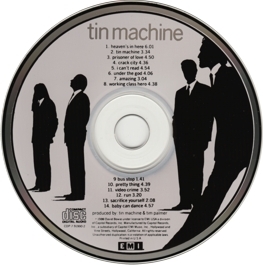 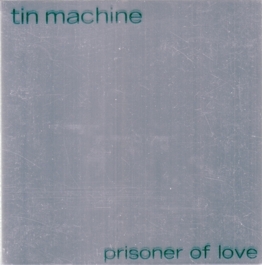 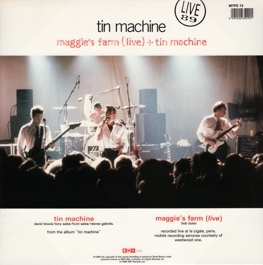 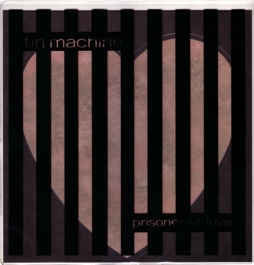 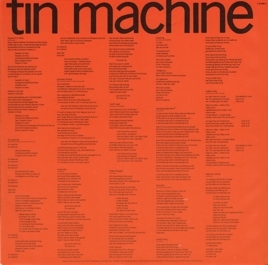 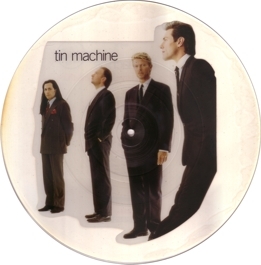 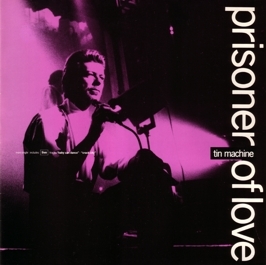 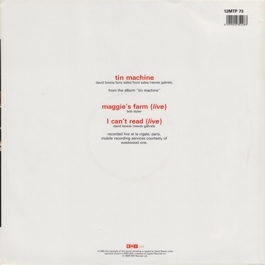 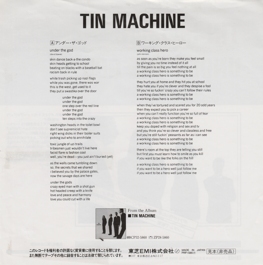 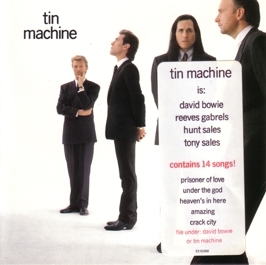 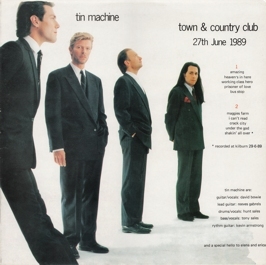 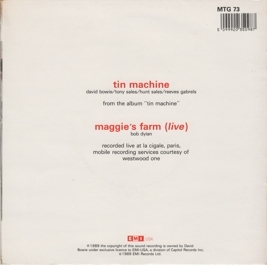 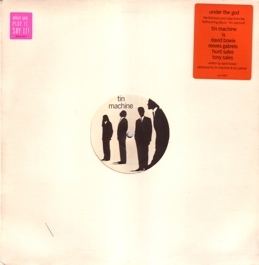 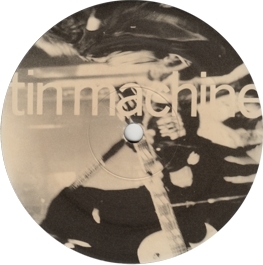 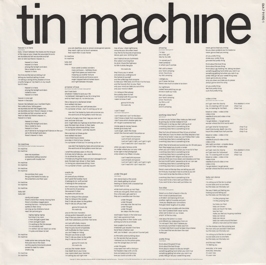 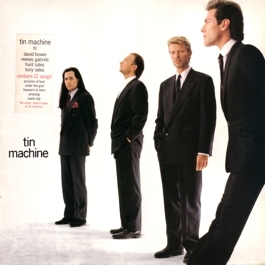 Collector's notes: Another Tin Machine bootleg in mediocre sound quality. 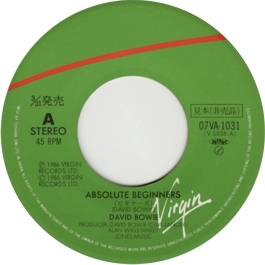 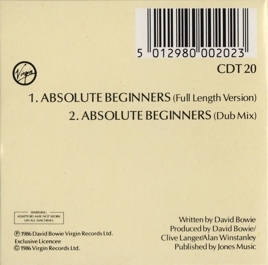 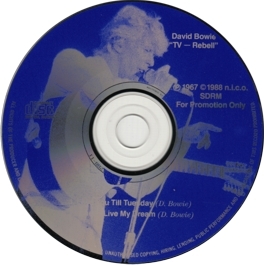 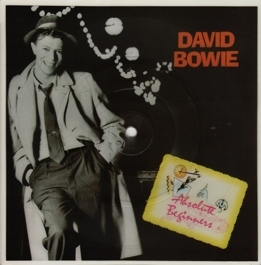 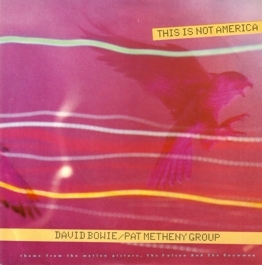 Collector's notes: This was the first ever CD bootleg of Bowie. 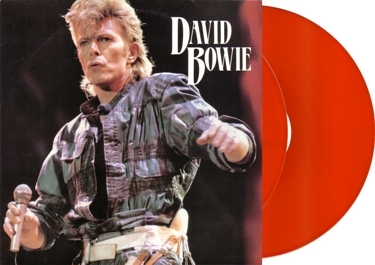 The sound quality is good to very good, but not an improvement, compared to earlier vinyl bootlegs. 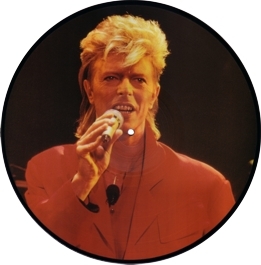 Which is no wonder: all tracks seem to have been taken straight off vinyl records - you can even hear the occasional click and crackle. 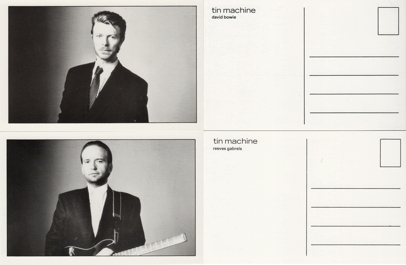 Collector's notes: A nice release of two tracks that were extremely rare at the time. 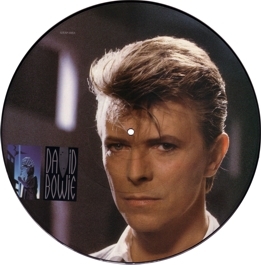 Great sound quality! 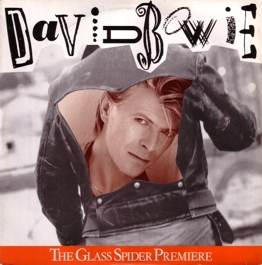 Collector's notes: A re-issue of an earlier bootleg with a totally inappropriate cover and title. 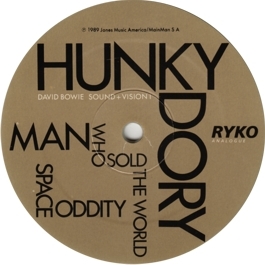 The sound quality is so-so. 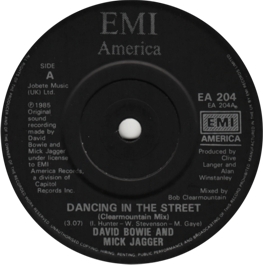 It's a bit dull, and the vocals are too far in the background. 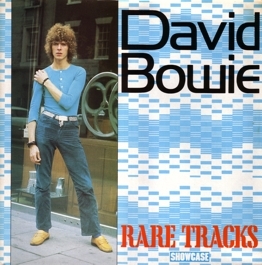 The rare (acoustic!) 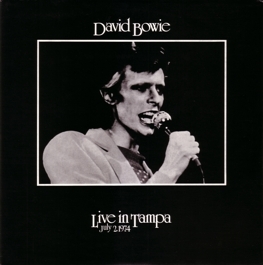 performance of Drive-In Saturday from Fort Lauderdale is interesting, but the sound of that track is terrible. 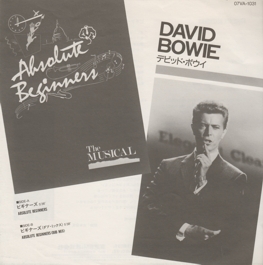 Collector's notes: Together with the second part, this is a fantastic bootleg. 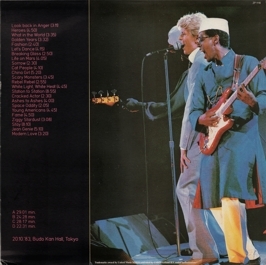 The show was professionally recorded and a CD promo set was distributed among American radio stations. 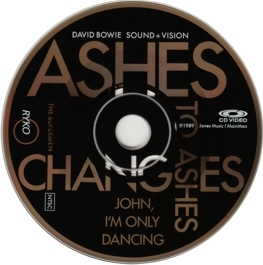 Since these discs are recorded from the CDs, the sound quality is perfect. 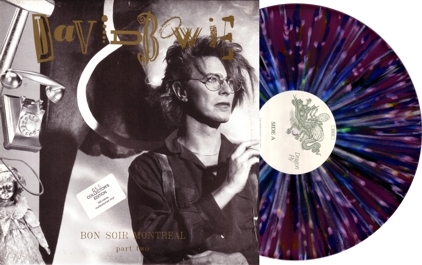 Collector's notes: Part 2 of the Montreal show. 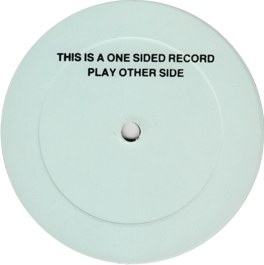 Same labels as in the previous entry. 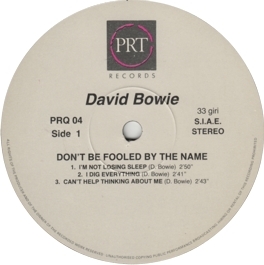 Collector's notes: This bootleg, which is a re-issue of the earlier The Beckenham Oddity, is a typical "protection gap" bootleg, i.e. 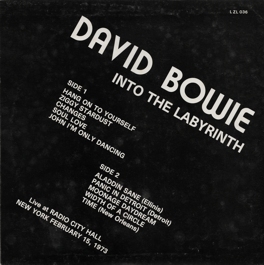 one that was legally available in regular record shops, due to "gaps" in the copyright laws of some European countries. 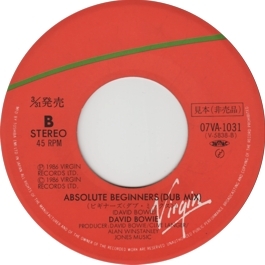 The sound quality is good, but far from perfect, and varies in the course of the recording. 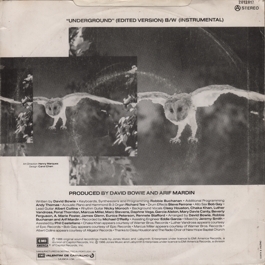 As regards the music, this is a fantastic document, showing Bowie and John Hutchinson as a kind of Simon-and-Garfunkel-style duo. 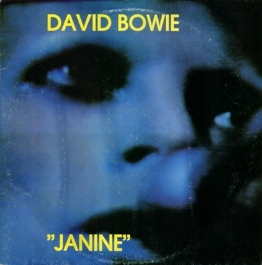 Janine includes a few seconds of the tune of the Beatles song Hey Jude. 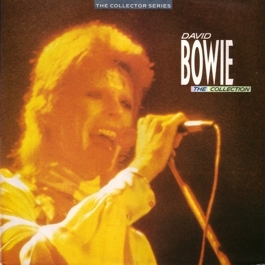 The version of Space Oddity is the one that can be found on the Sound + Vision box set in better sound quality. 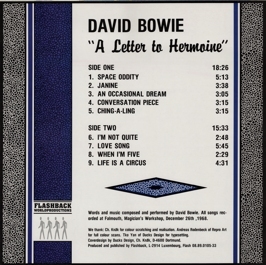 Also note the mis-spelling of the title: it should be "Hermione", and not "Hermoine", of course. 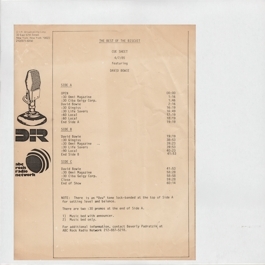 According to Pegg these demos were recorded around April 1969, but other sources say February. 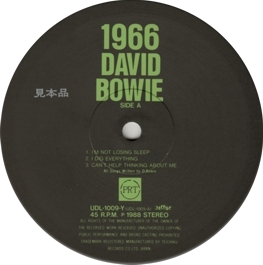 In fact, the later My Secret Memories bootleg even give the exact date 02/02/1969.